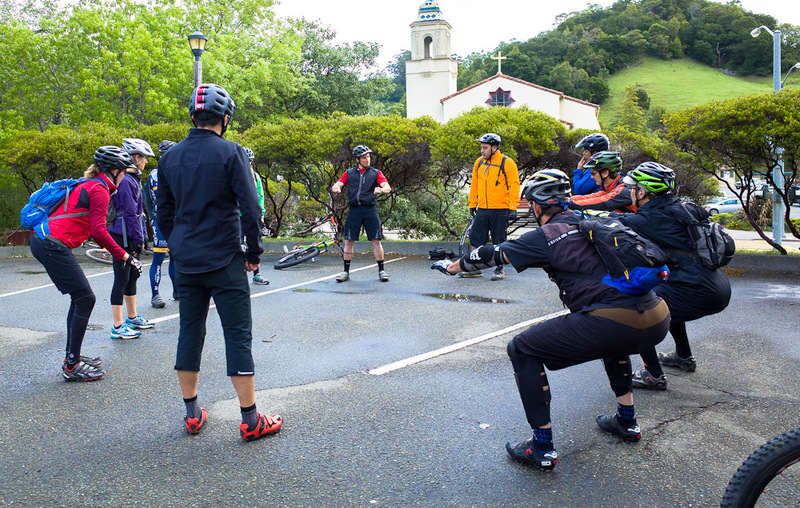 Jason leads the group with a static demonstration of form. 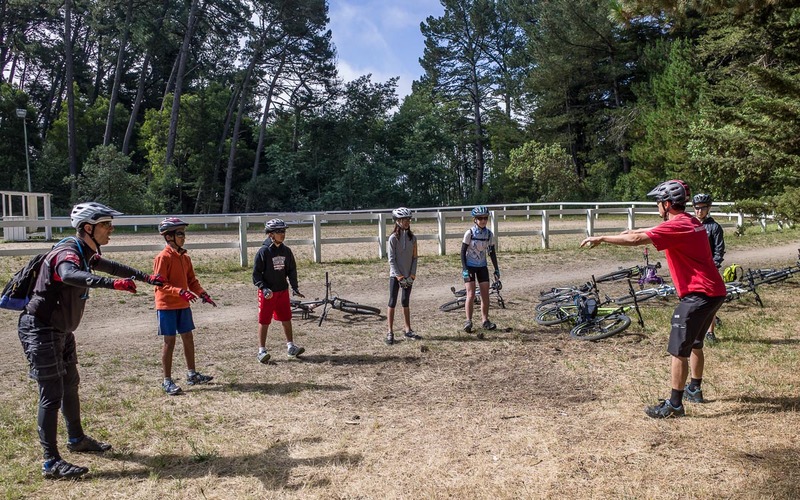 Jason Van Horn and Inga Beck lead a NorCal young riders clinic in Oakland. 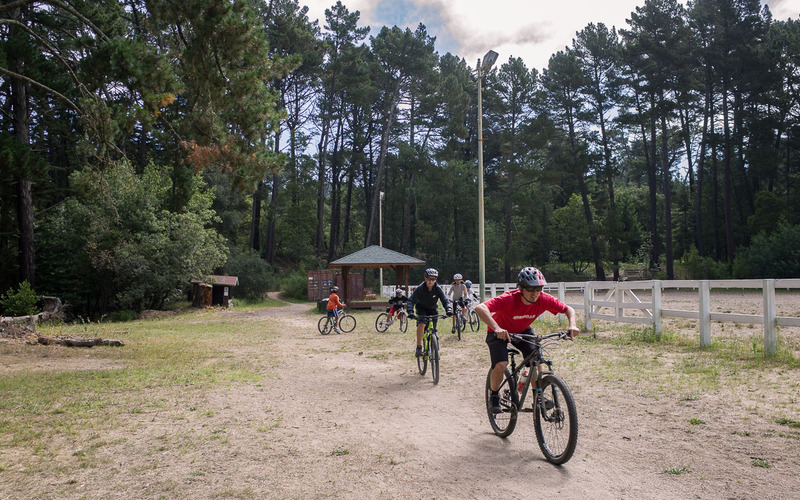 The students were looking very confident on their bikes by the end of the clinic. 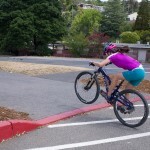 Great job and amazing form, kids! 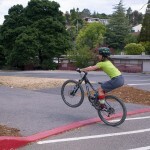 Dialing in the ready position! 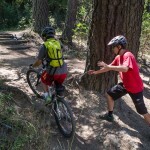 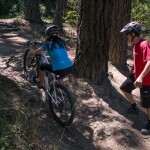 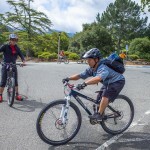 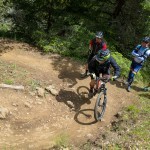 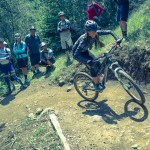 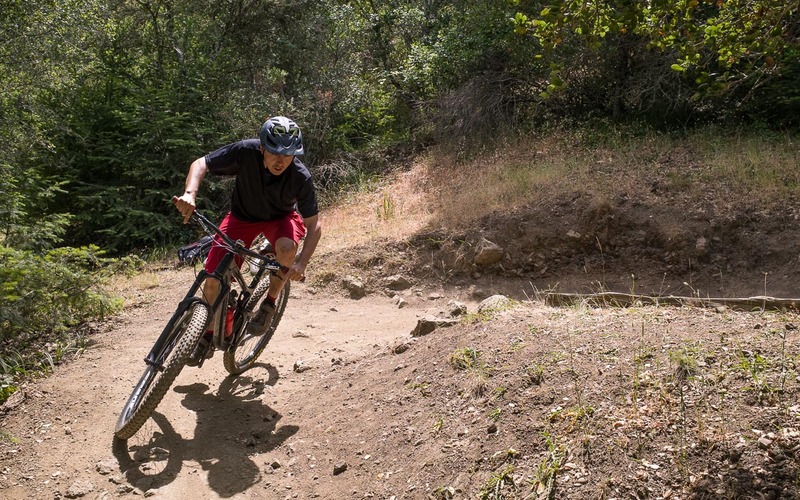 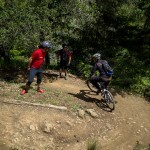 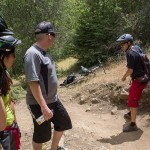 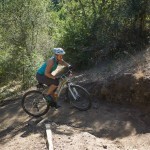 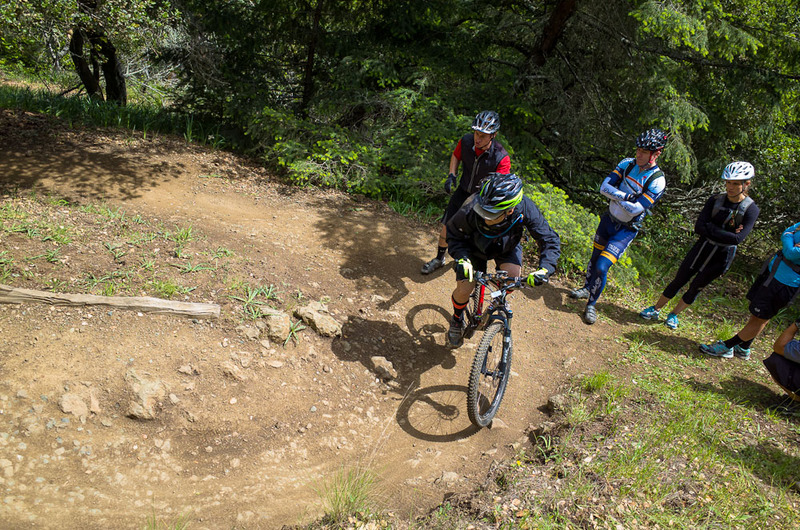 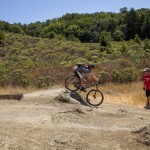 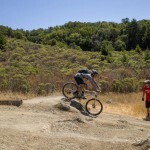 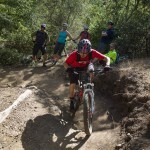 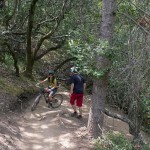 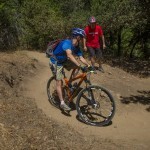 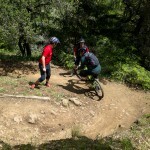 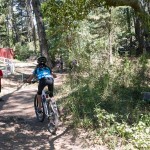 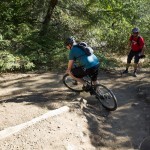 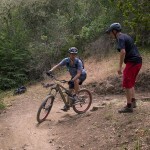 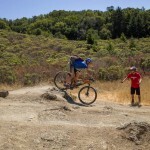 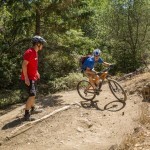 Our May 31st skills clinic at Tamarancho was a blast. 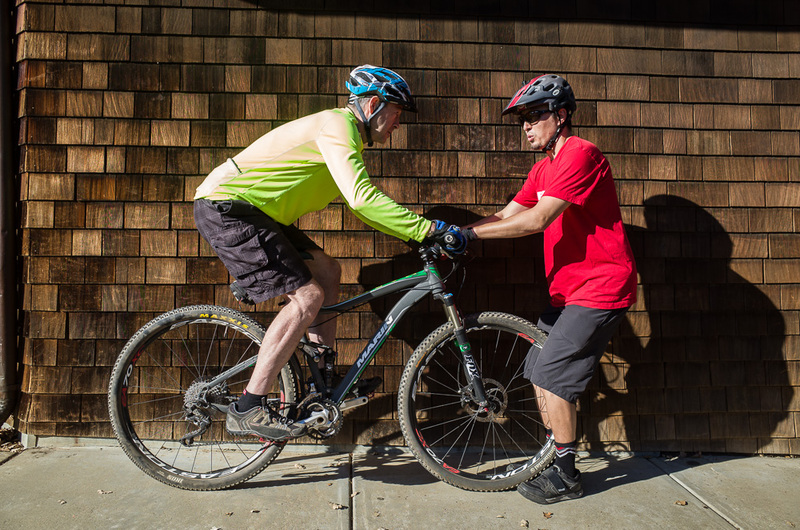 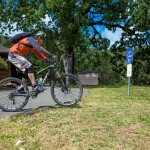 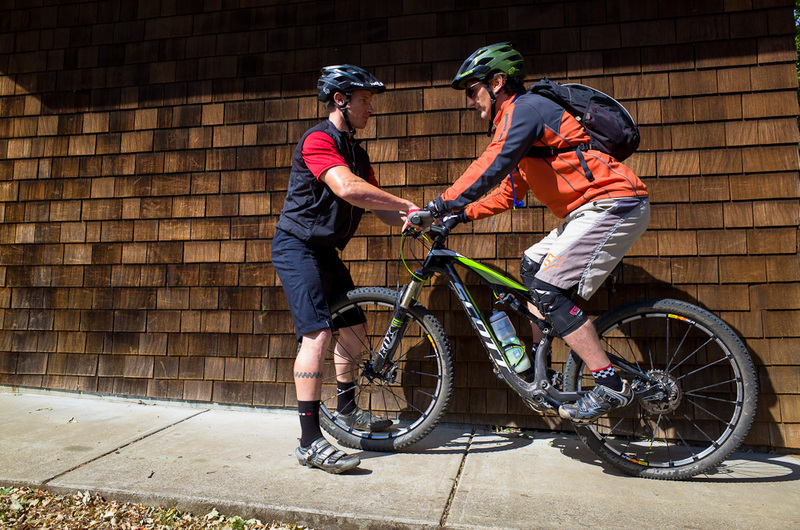 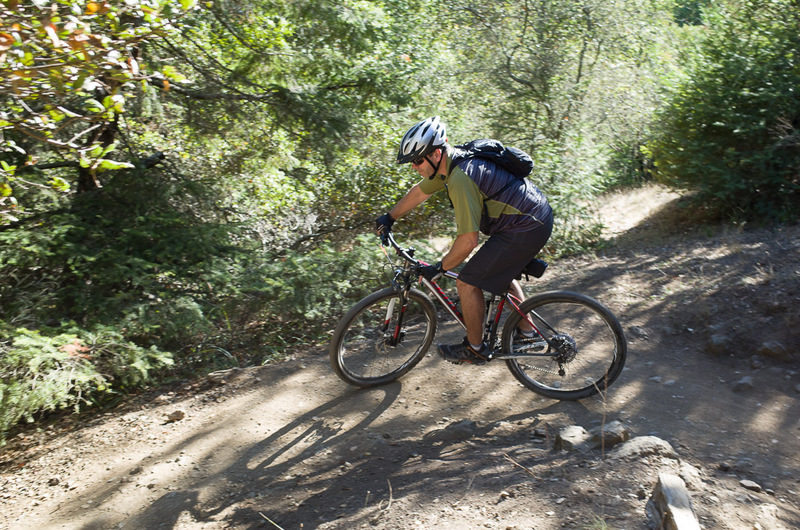 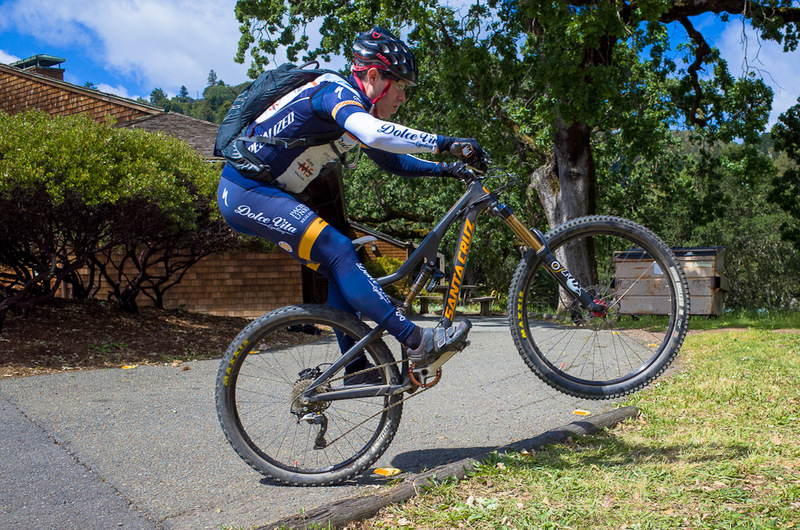 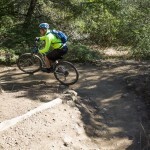 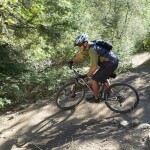 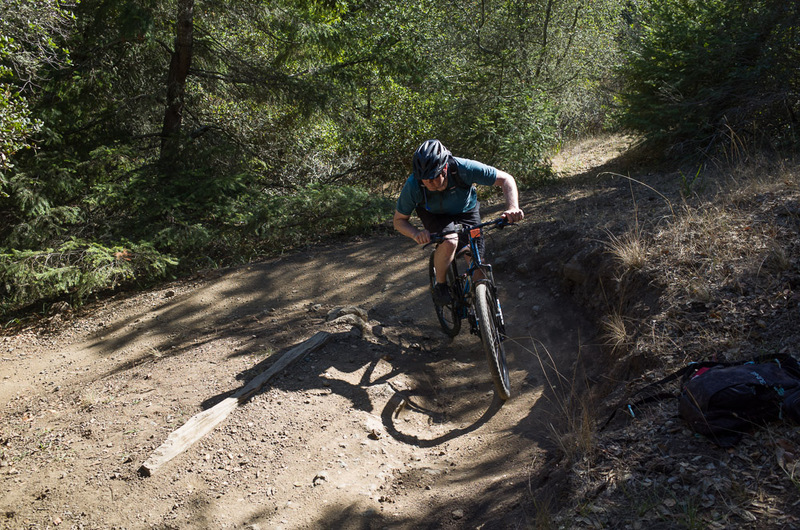 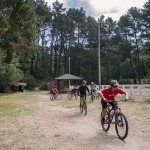 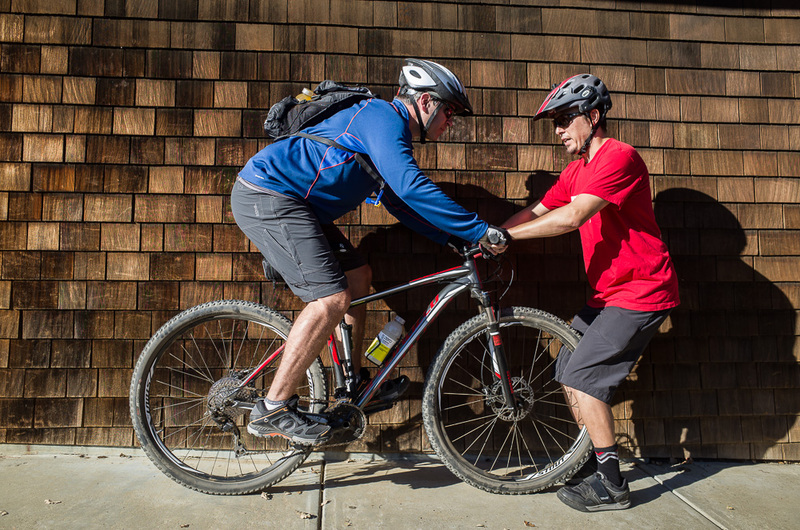 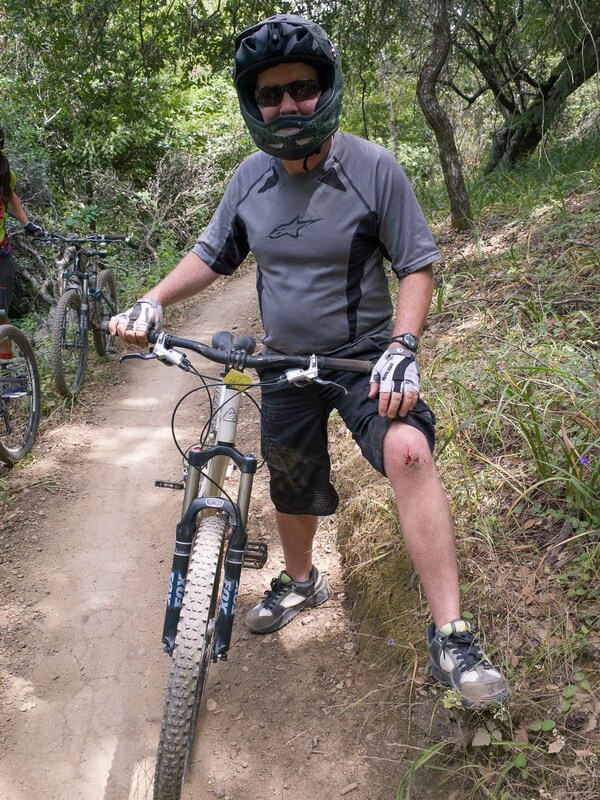 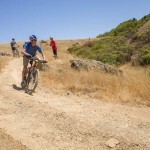 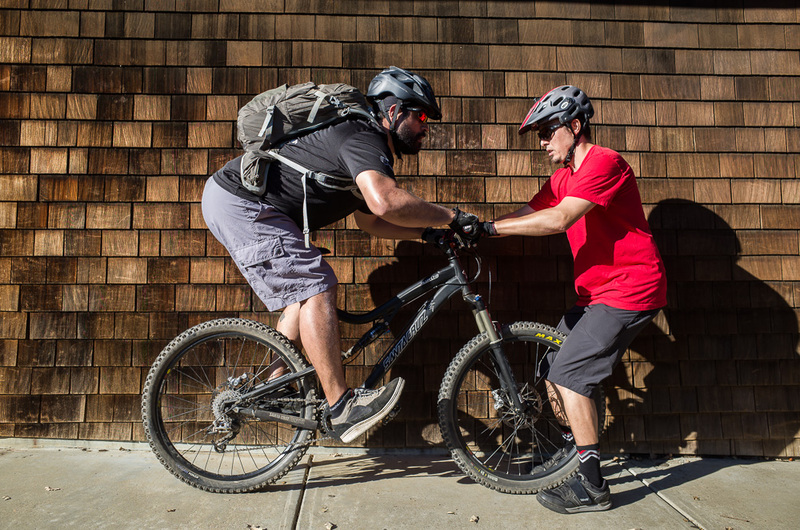 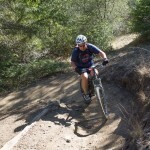 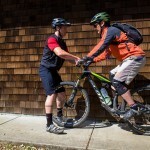 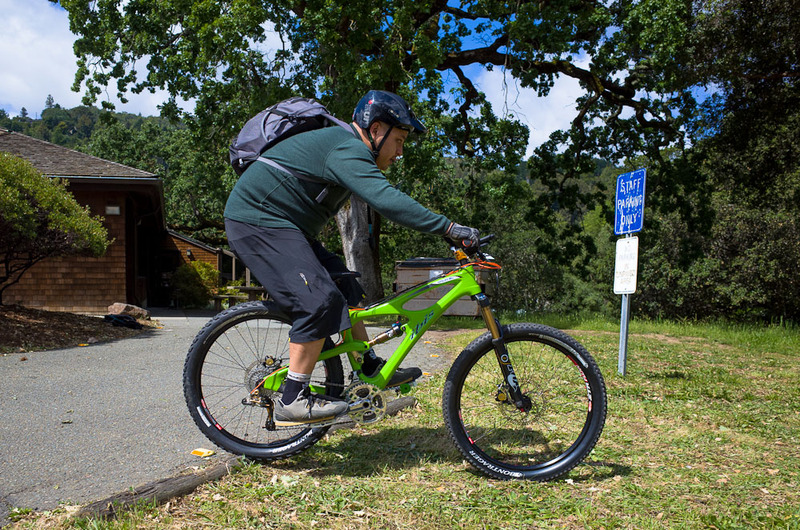 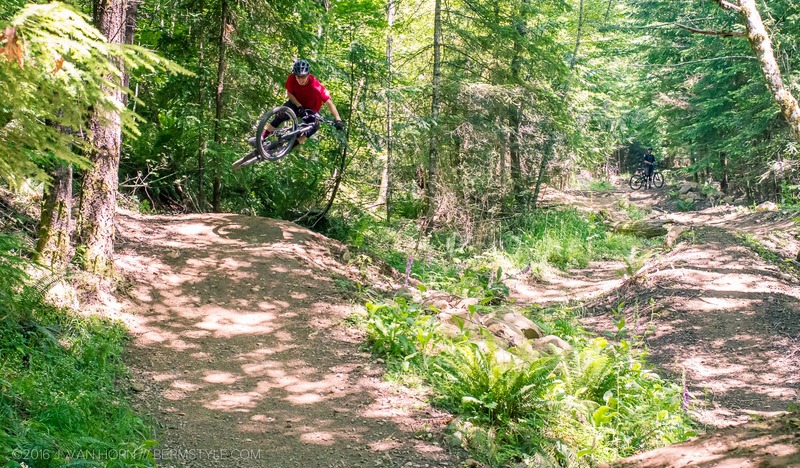 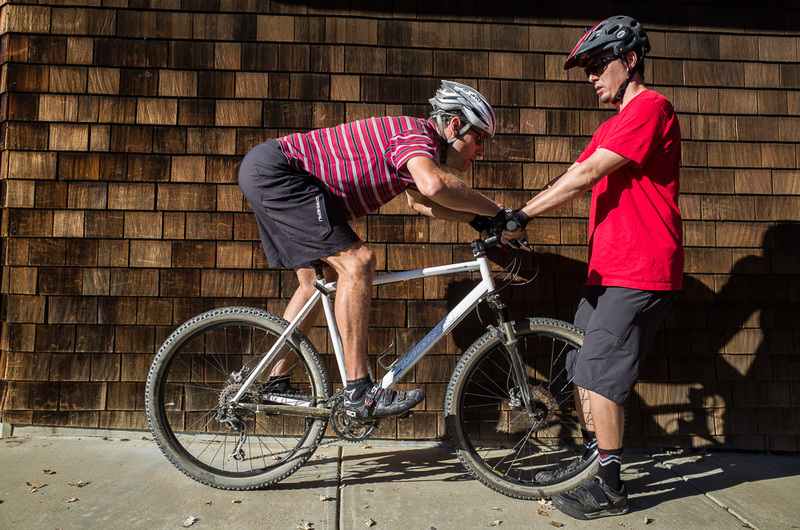 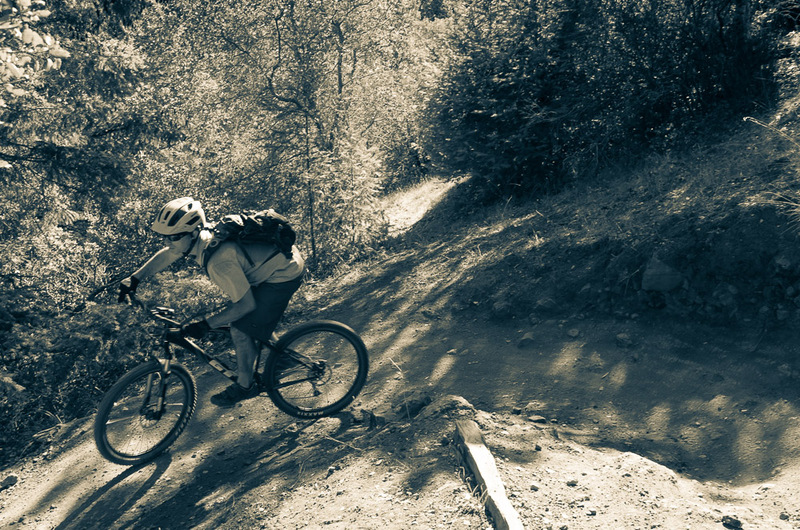 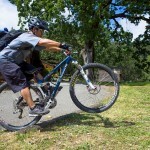 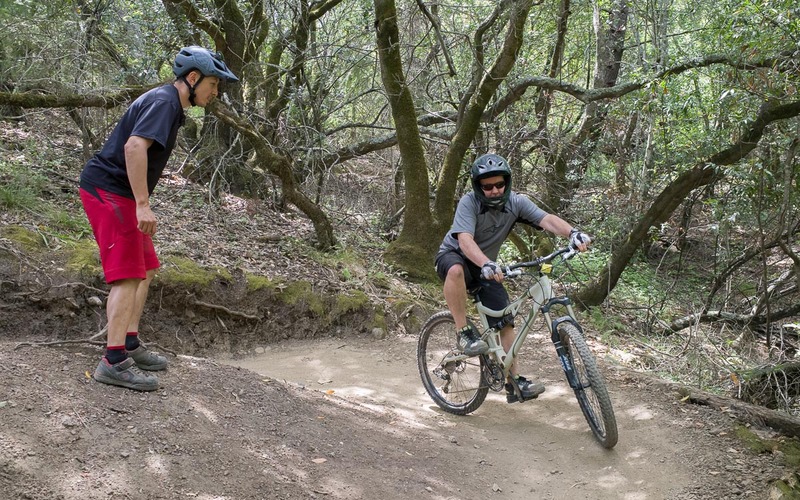 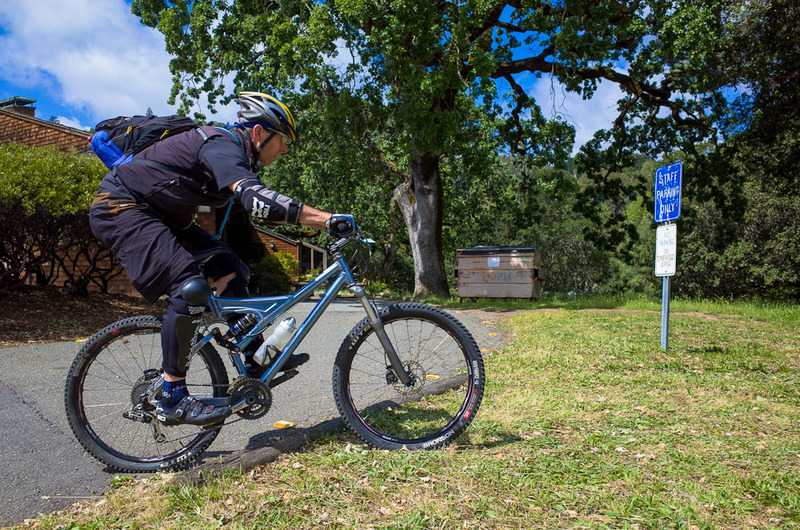 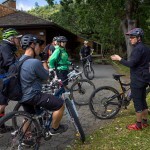 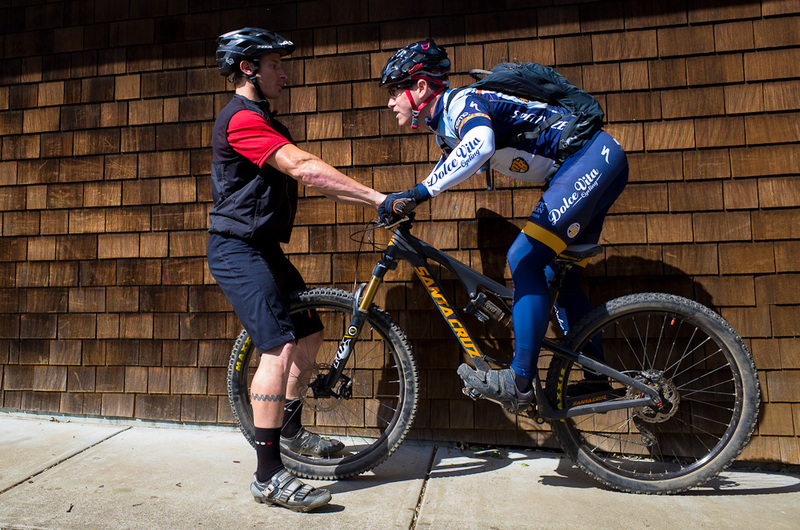 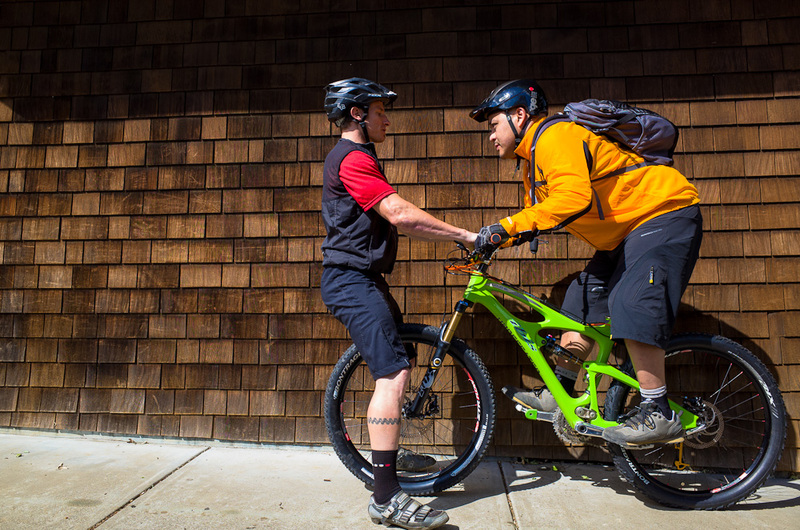 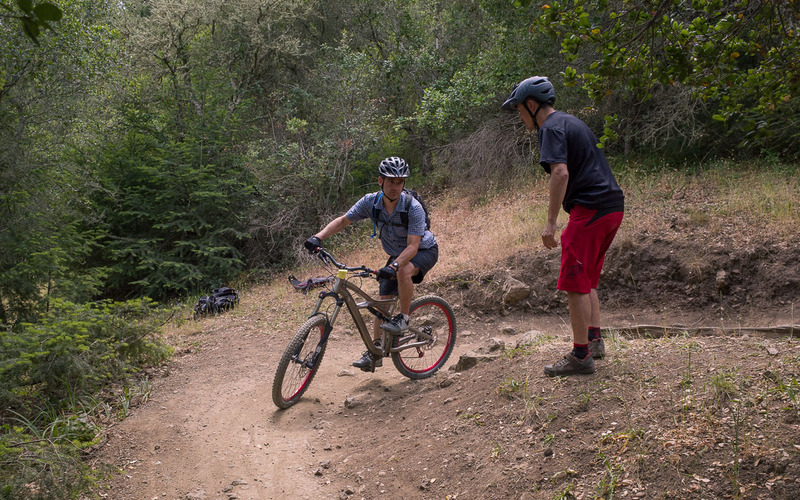 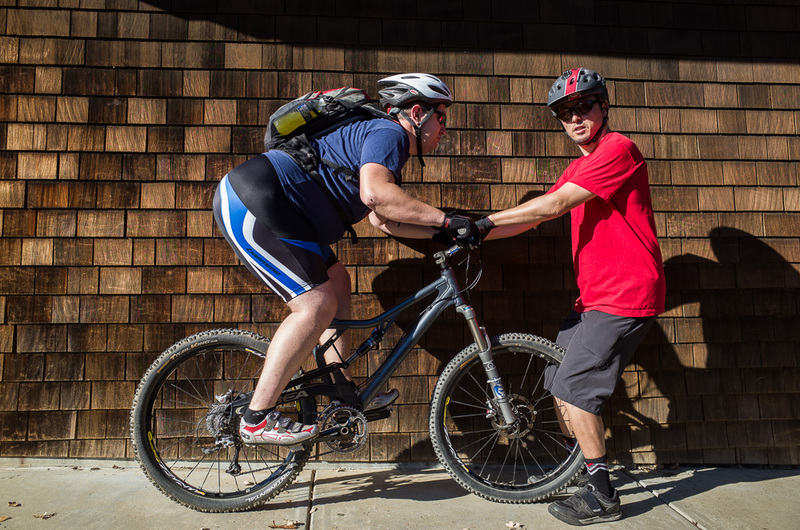 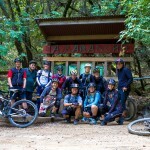 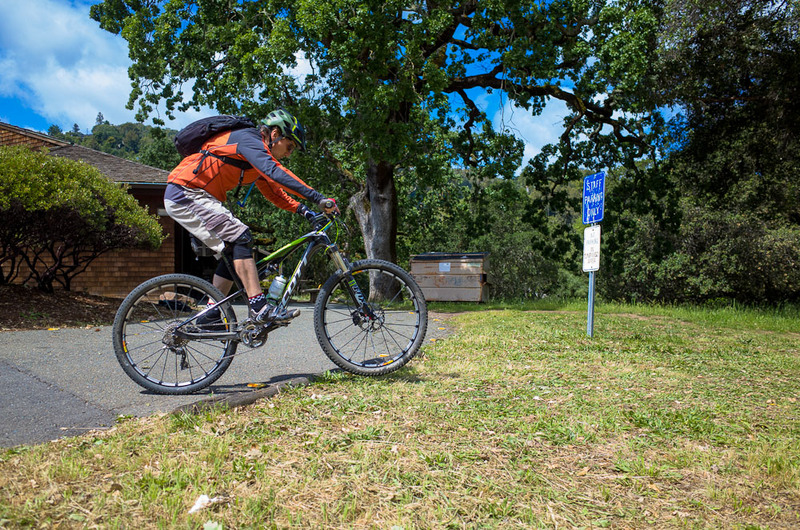 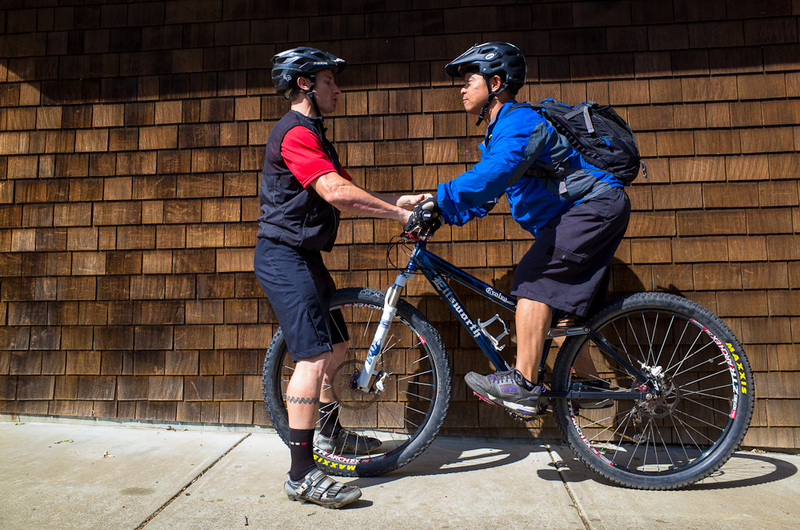 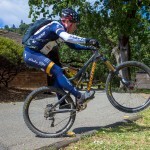 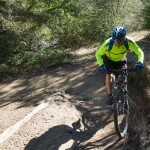 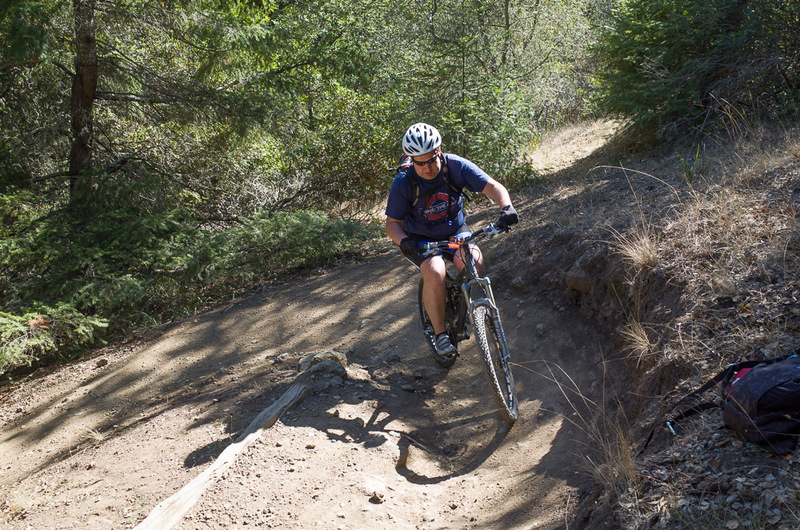 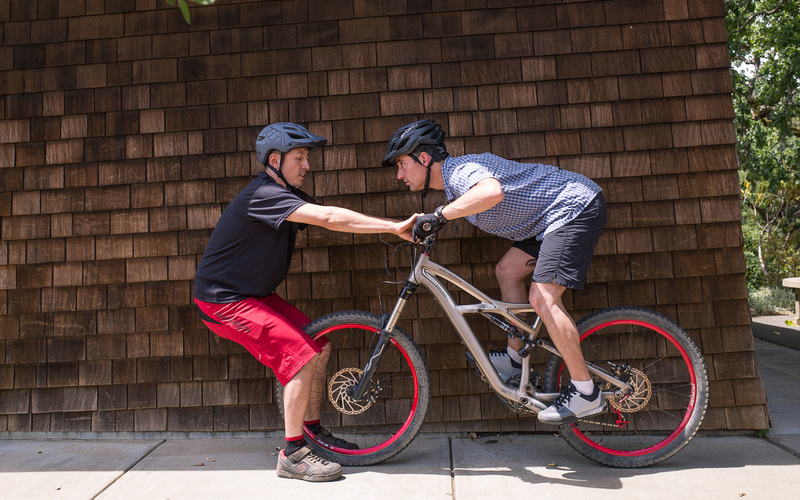 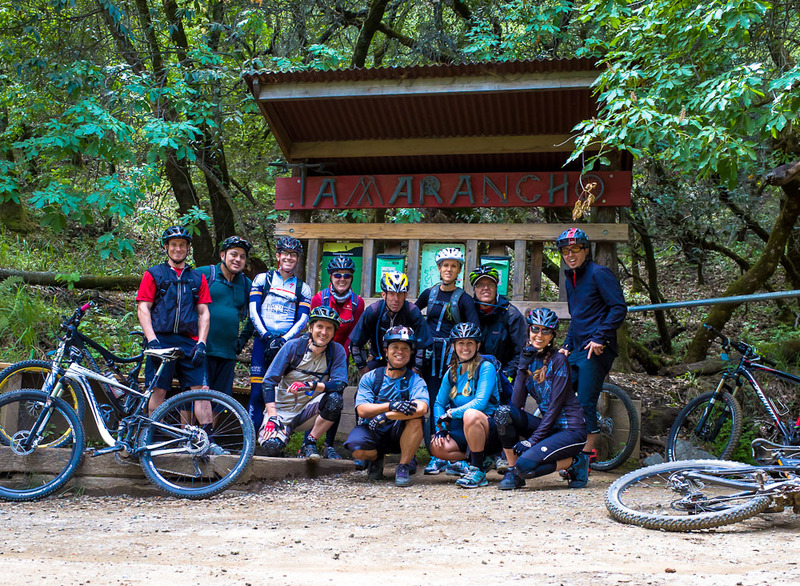 Jason is offering a trail riding clinic on March 29th at Tamarancho, with spaces limited. 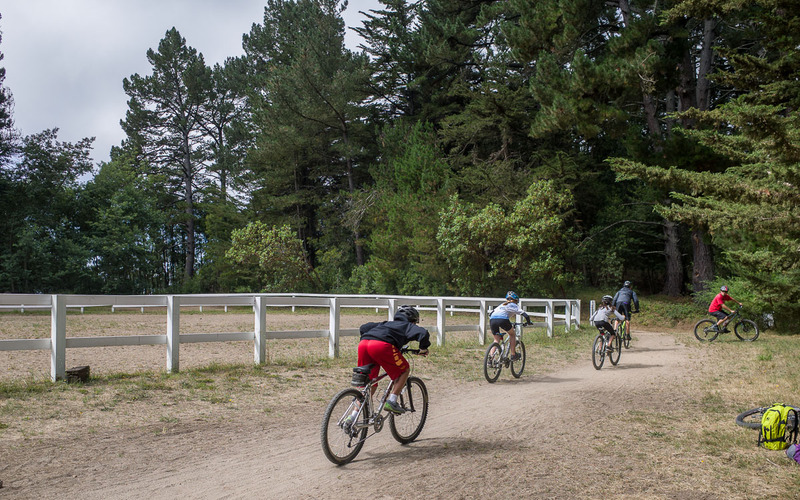 We recommend signing up quickly before it sells out. 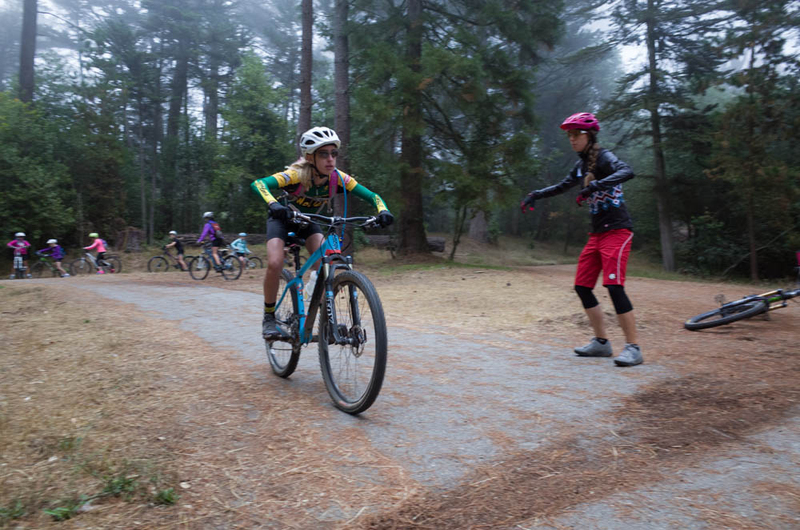 Enjoy this gallery of photos from our October 19th skills clinic at Tamarancho. 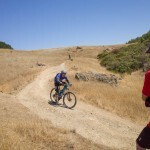 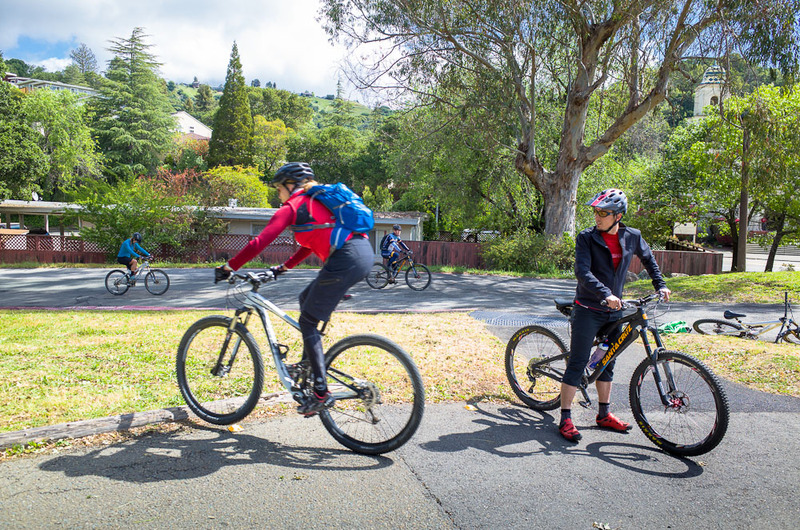 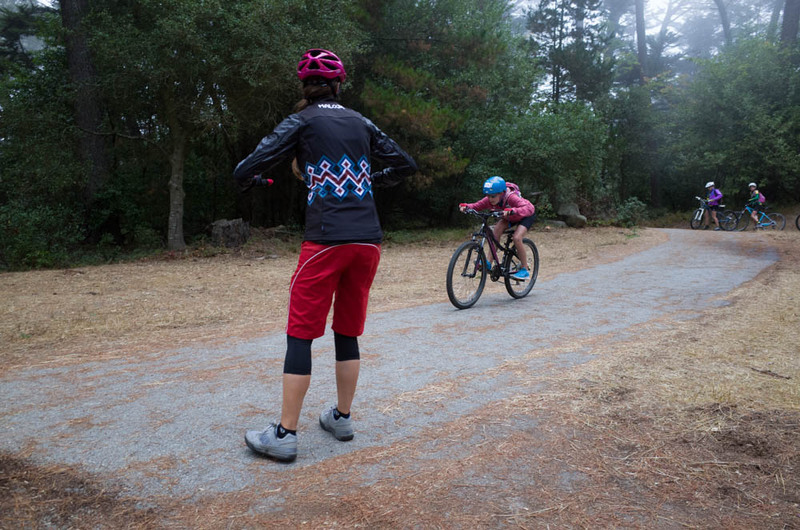 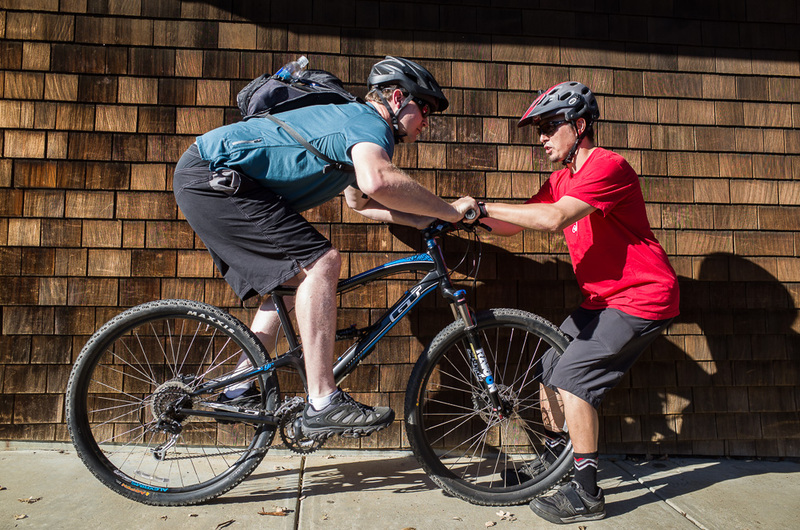 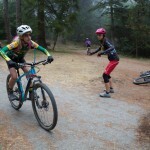 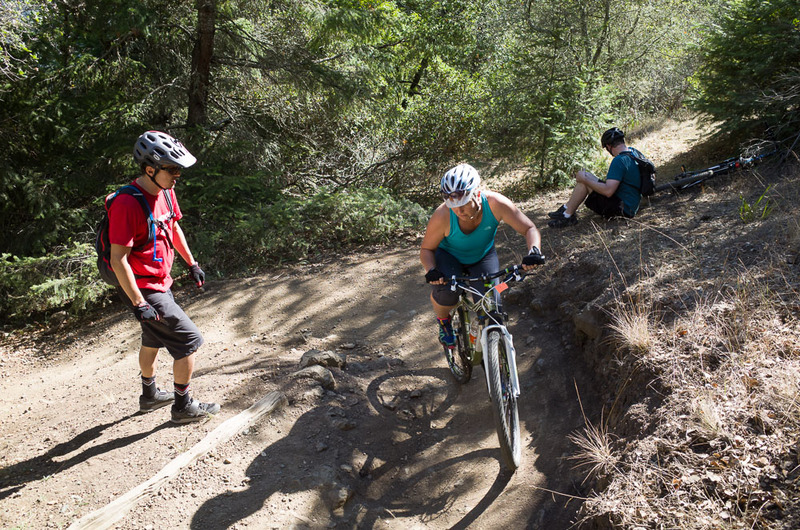 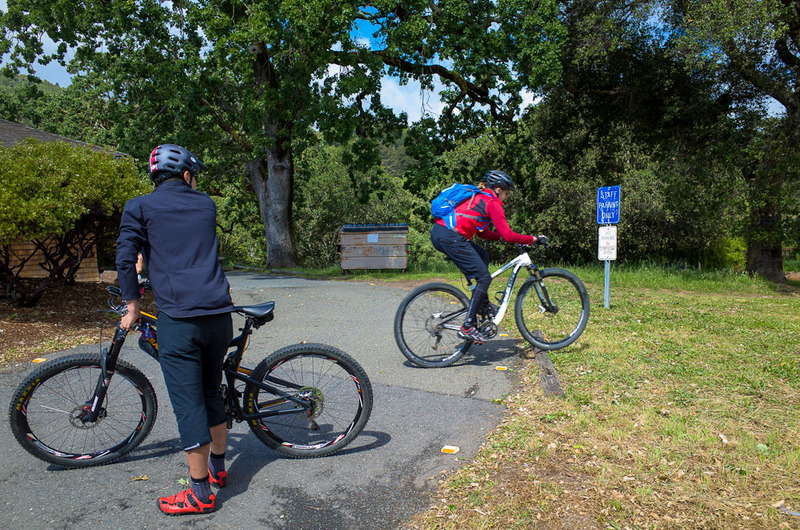 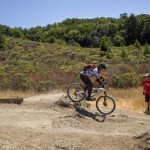 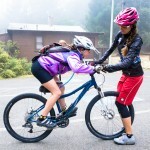 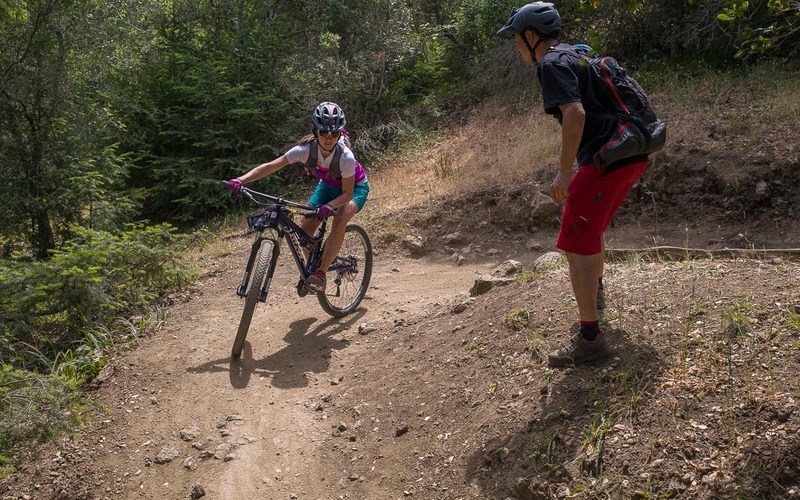 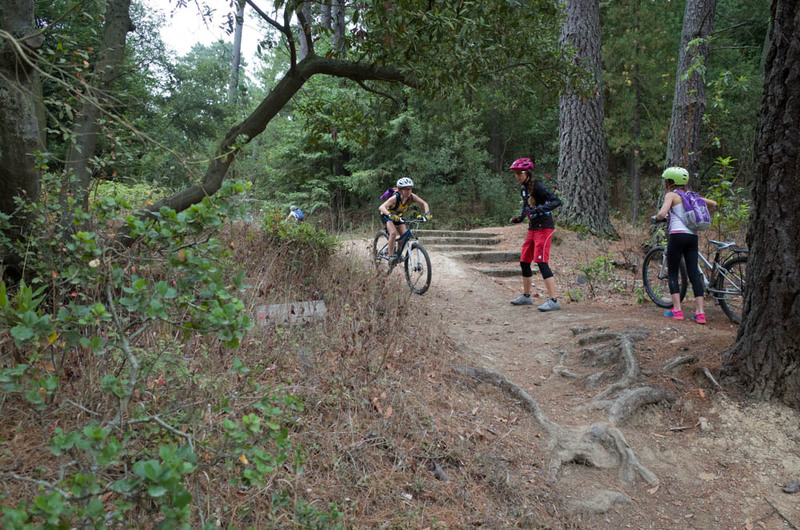 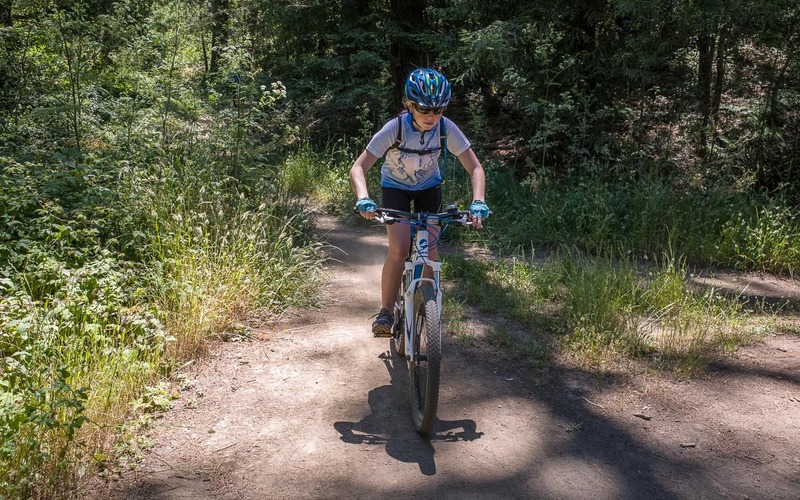 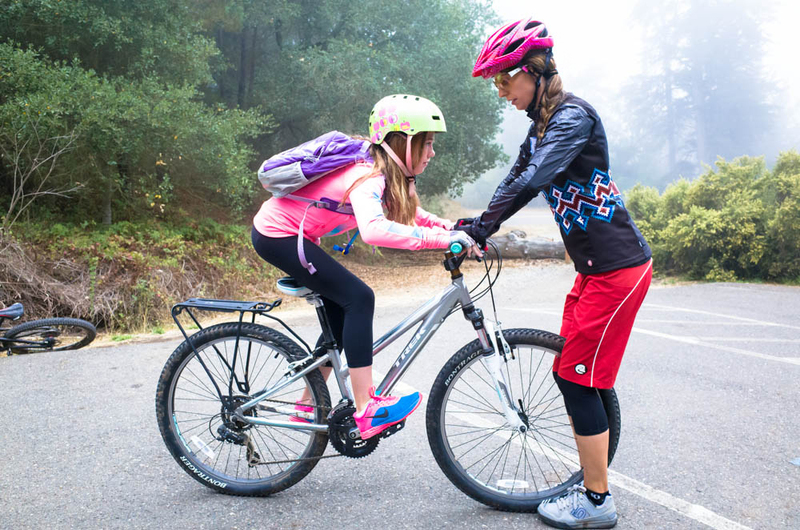 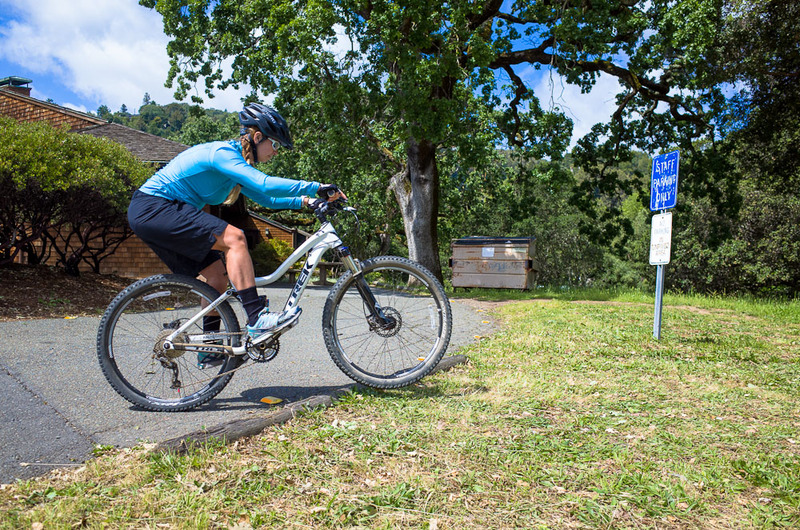 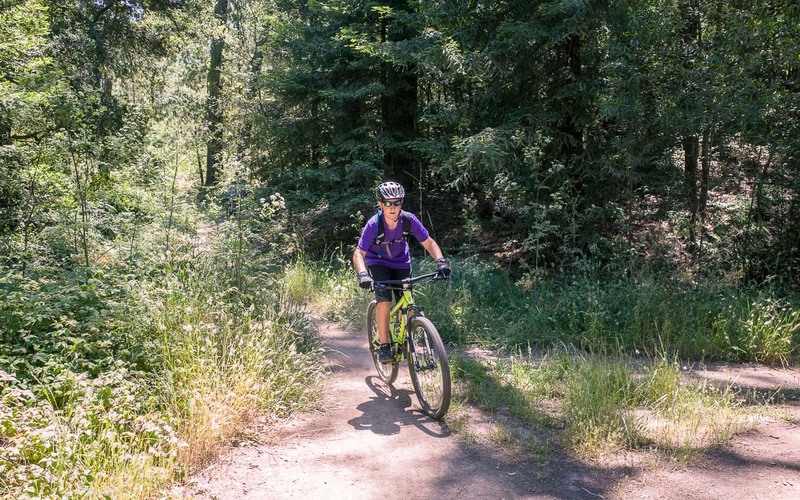 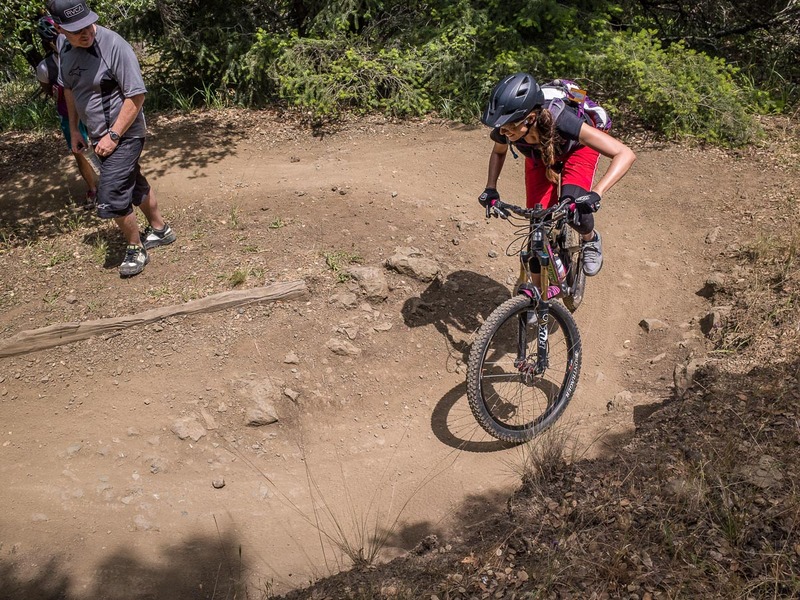 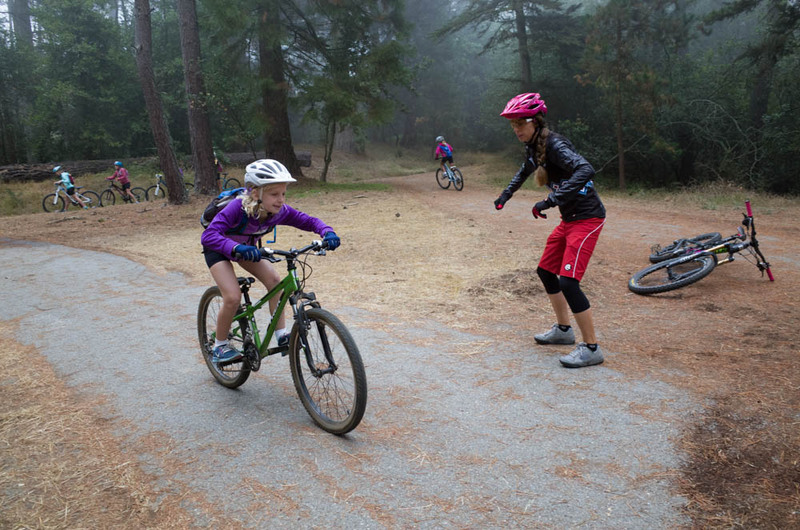 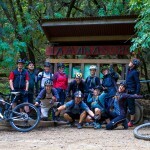 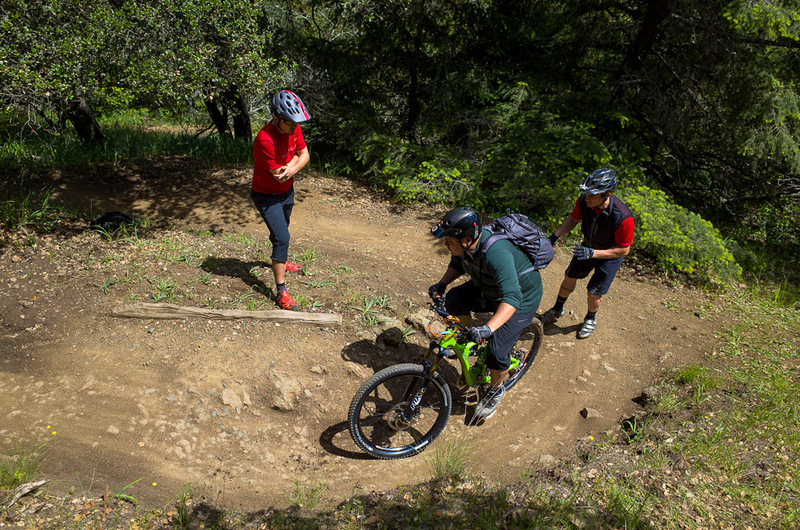 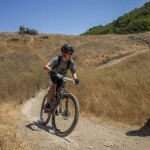 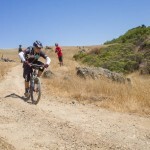 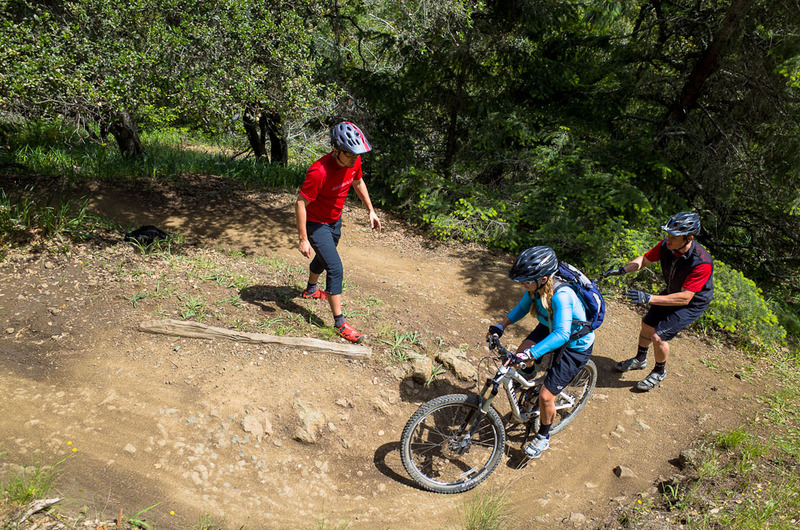 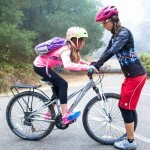 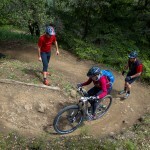 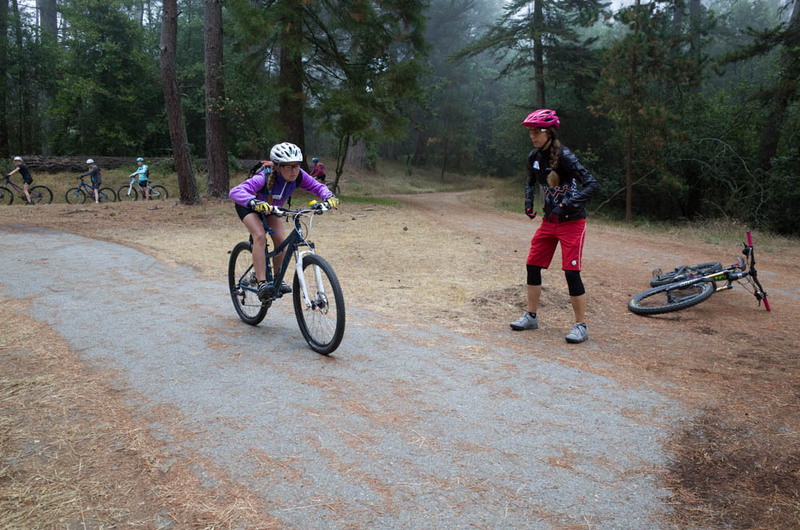 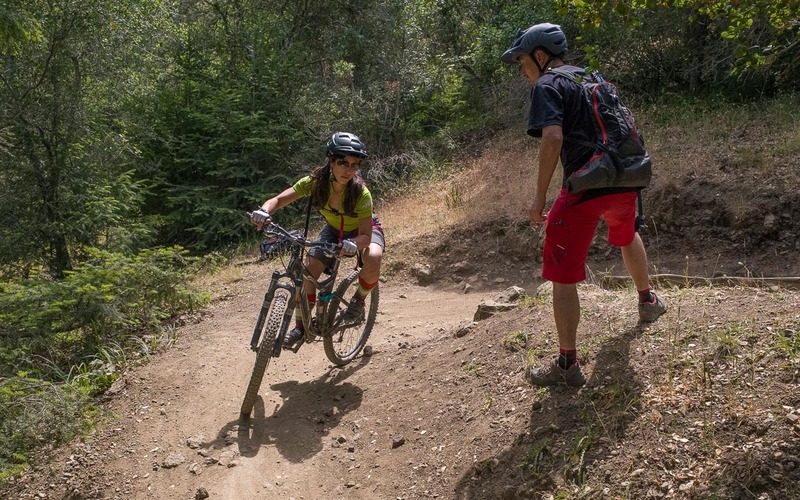 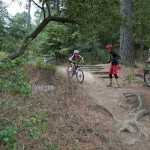 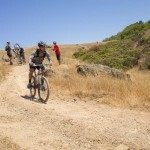 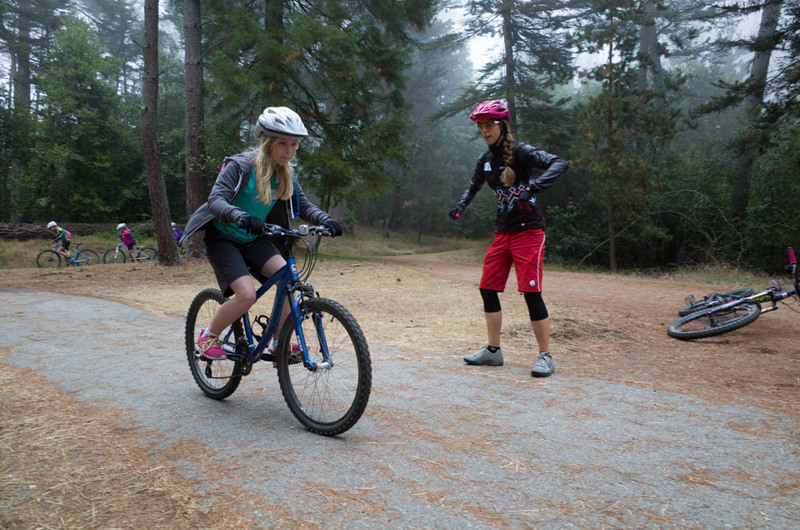 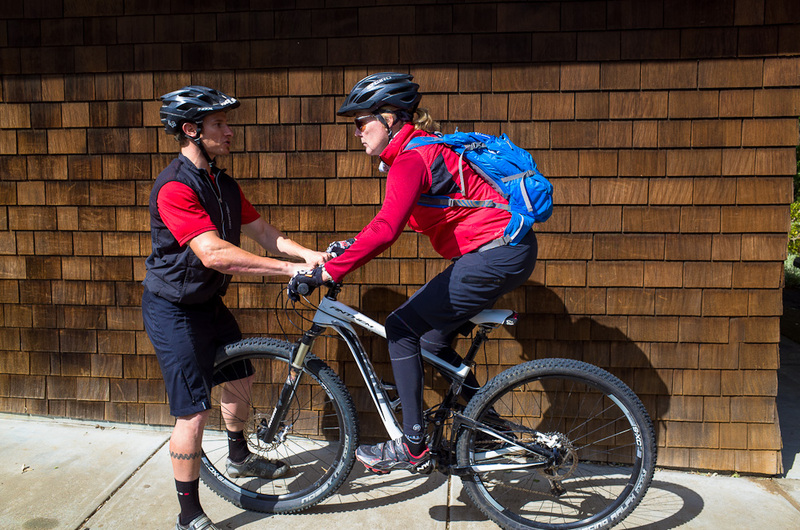 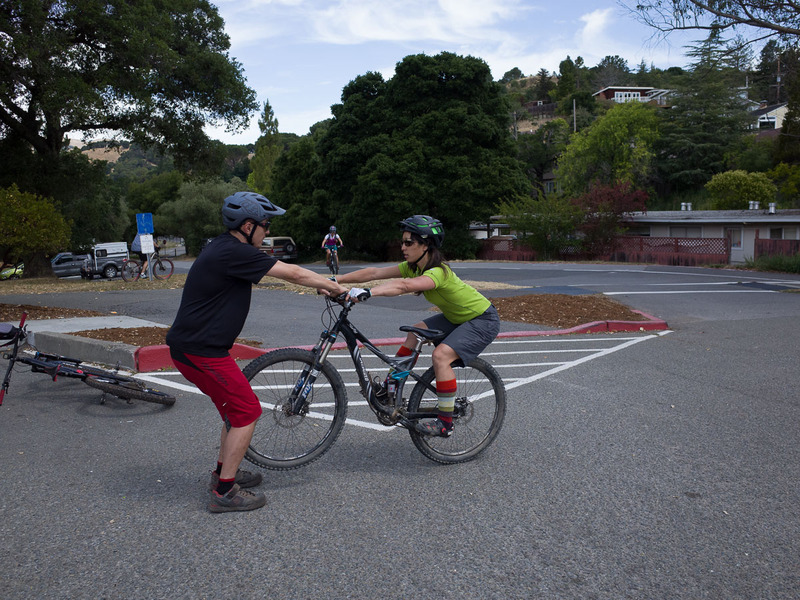 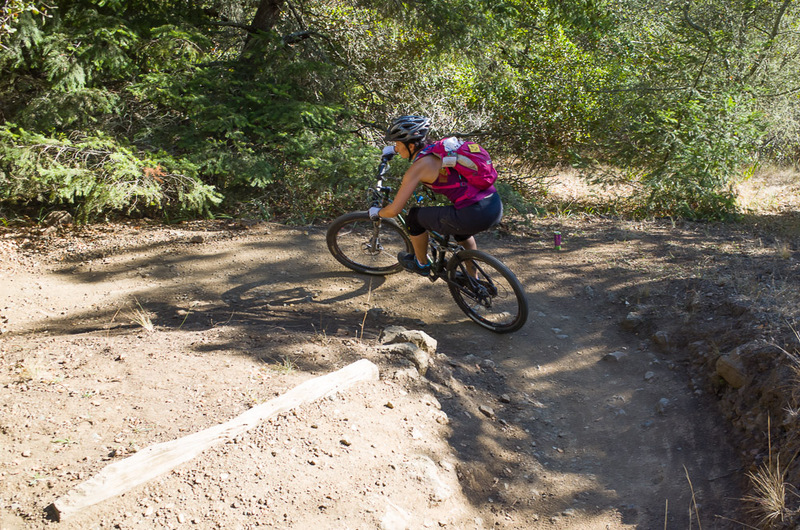 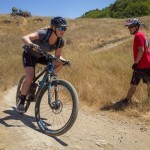 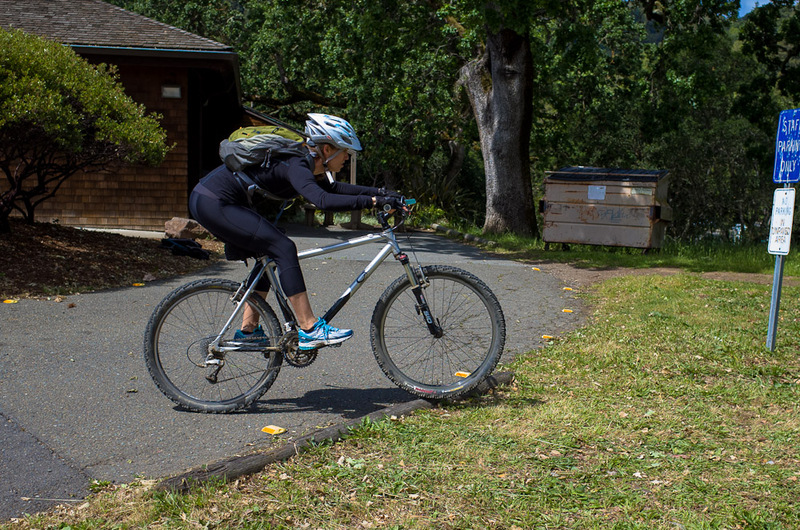 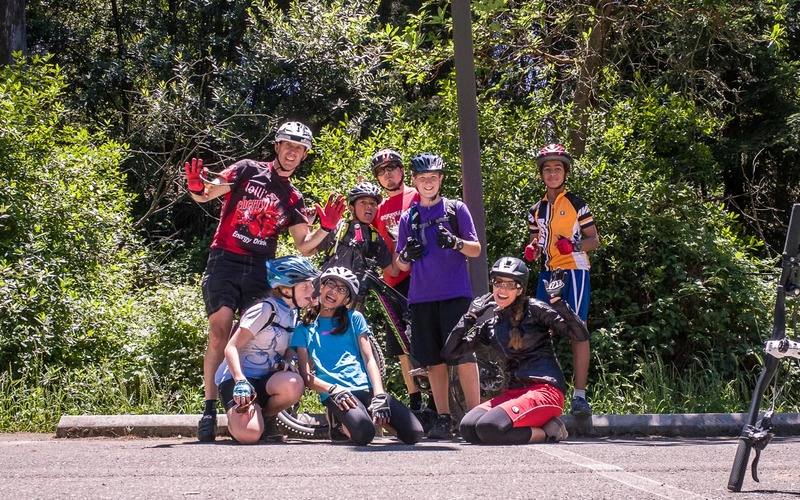 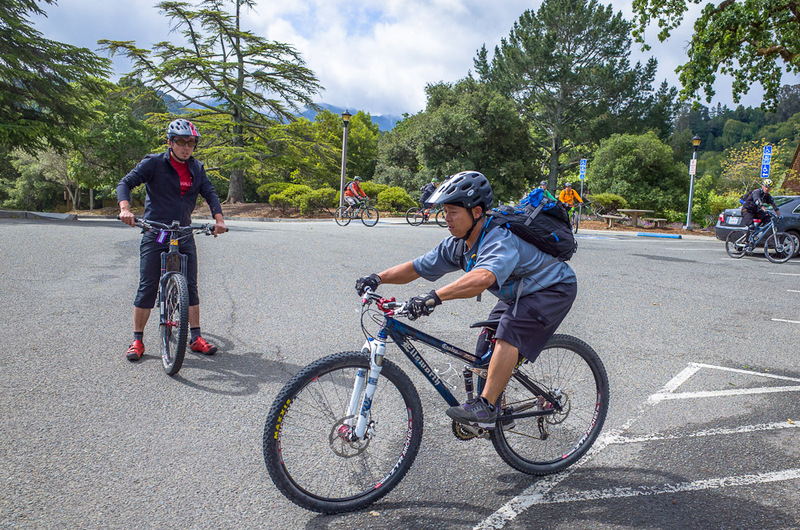 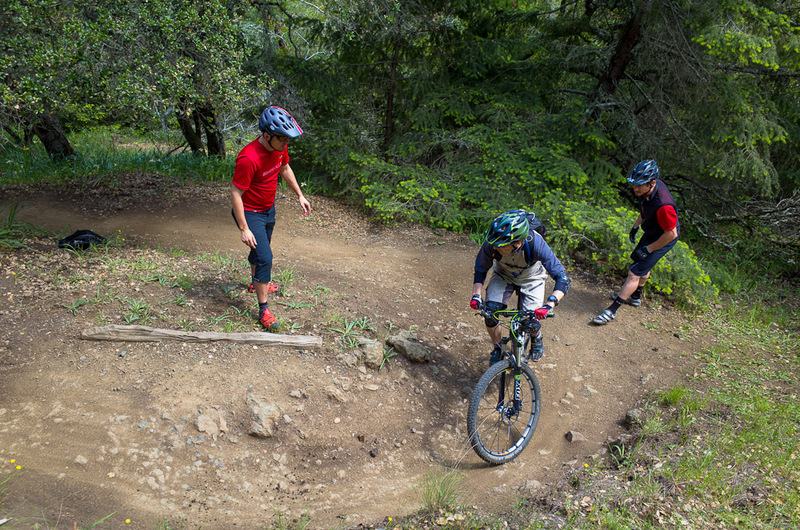 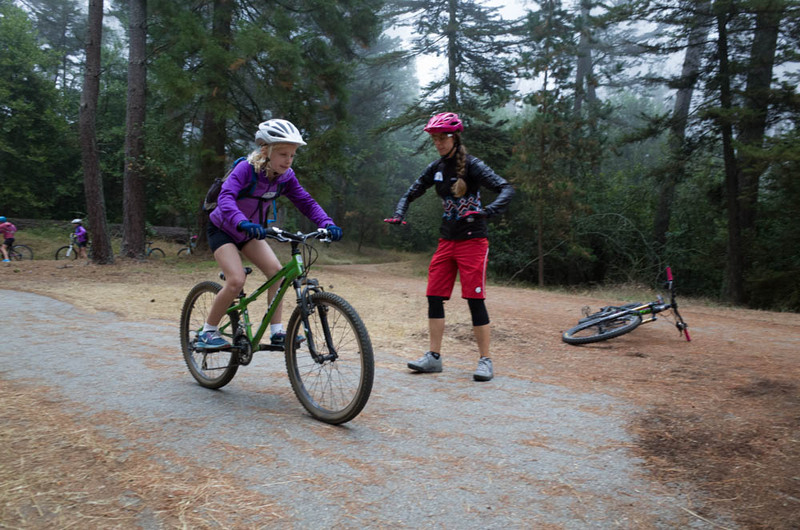 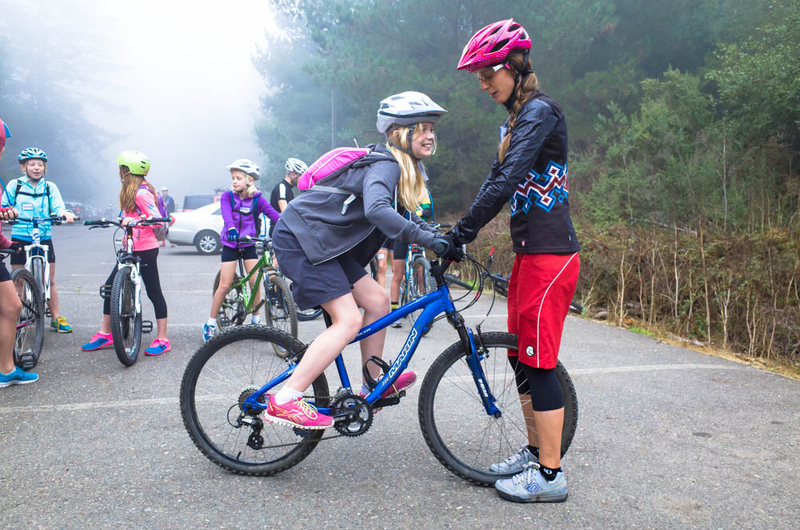 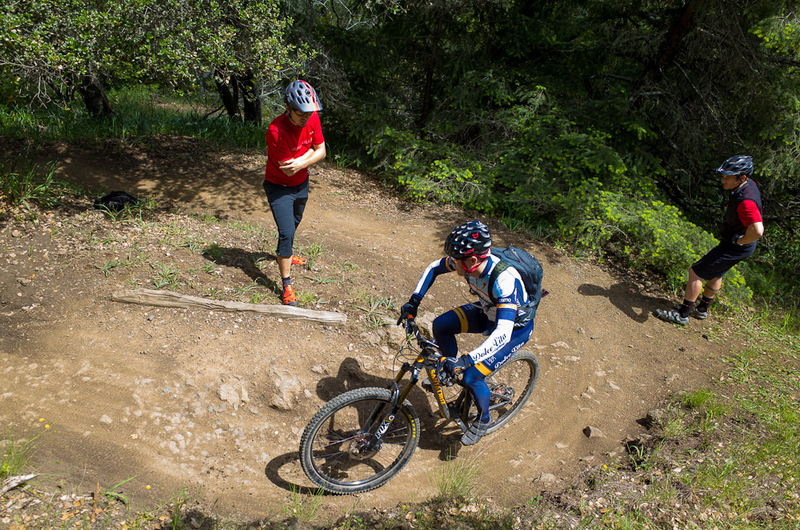 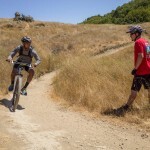 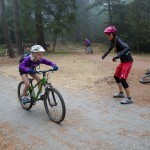 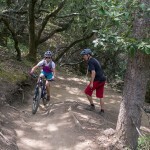 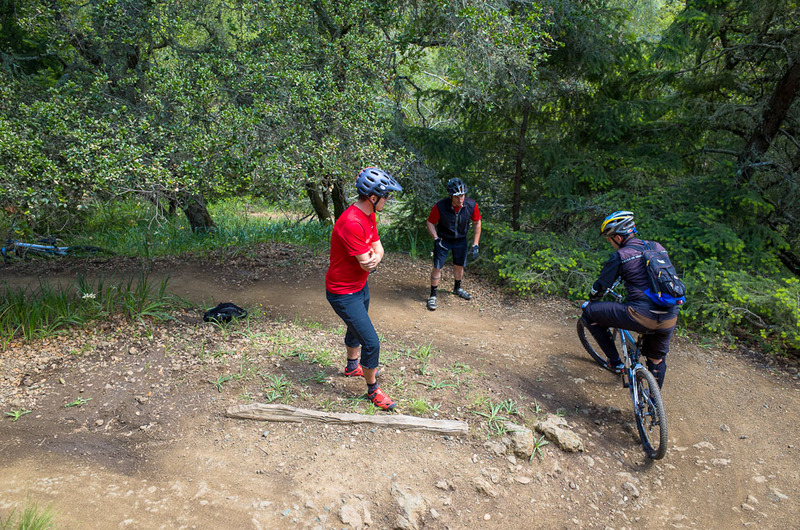 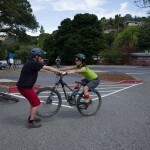 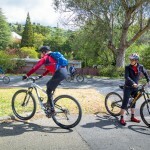 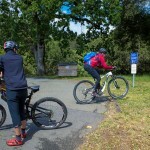 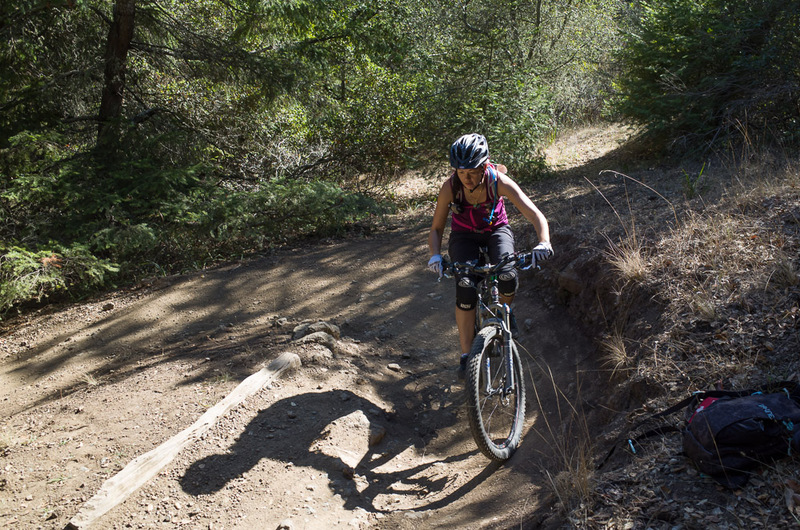 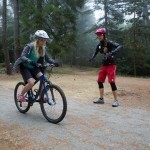 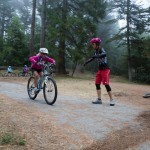 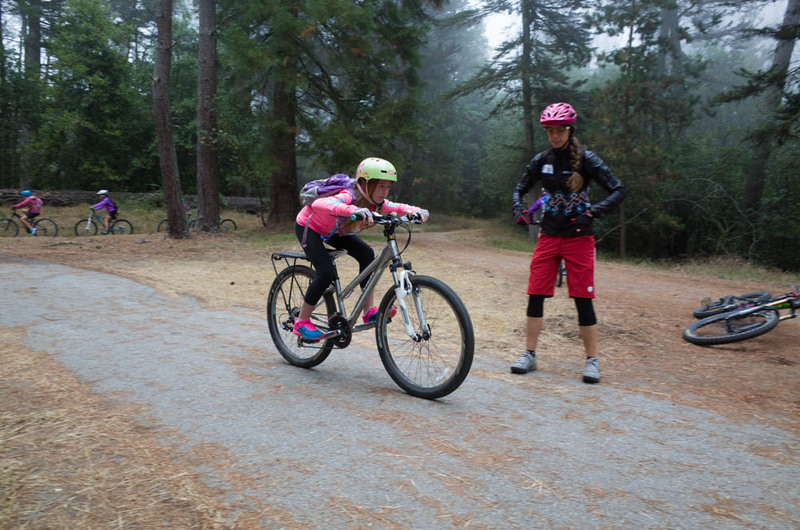 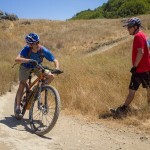 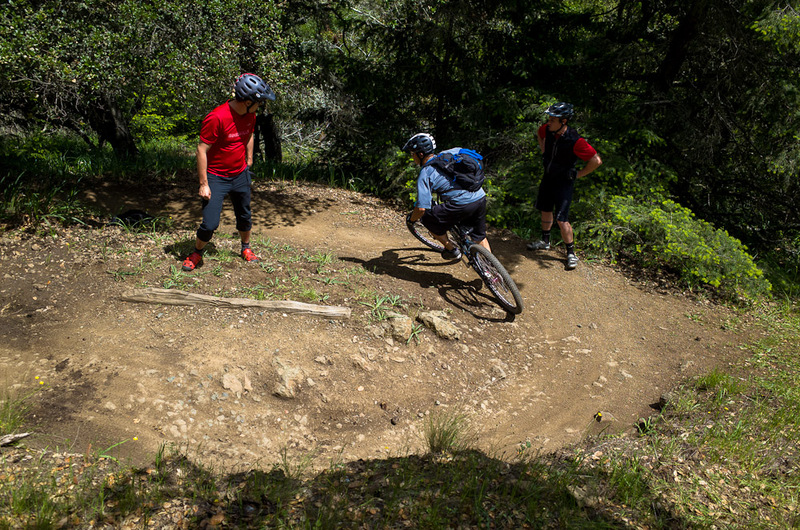 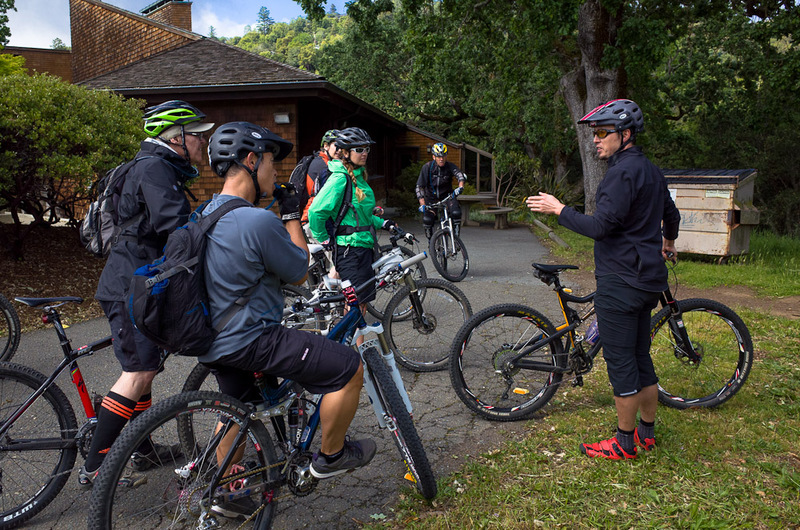 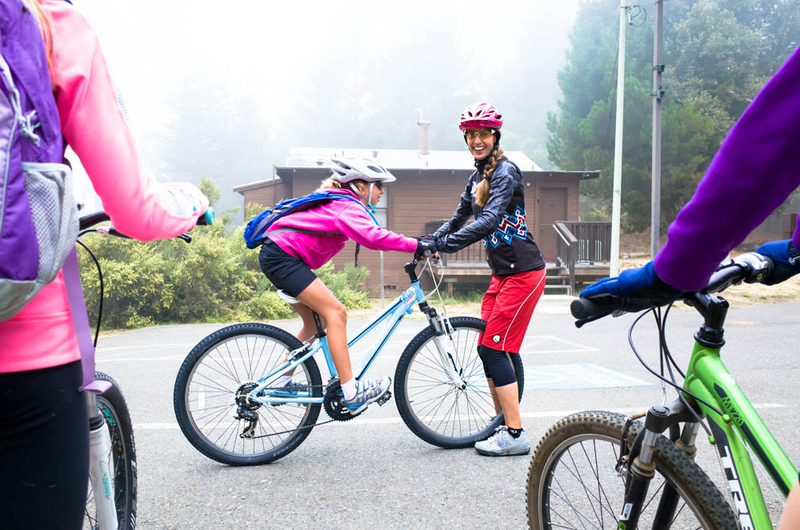 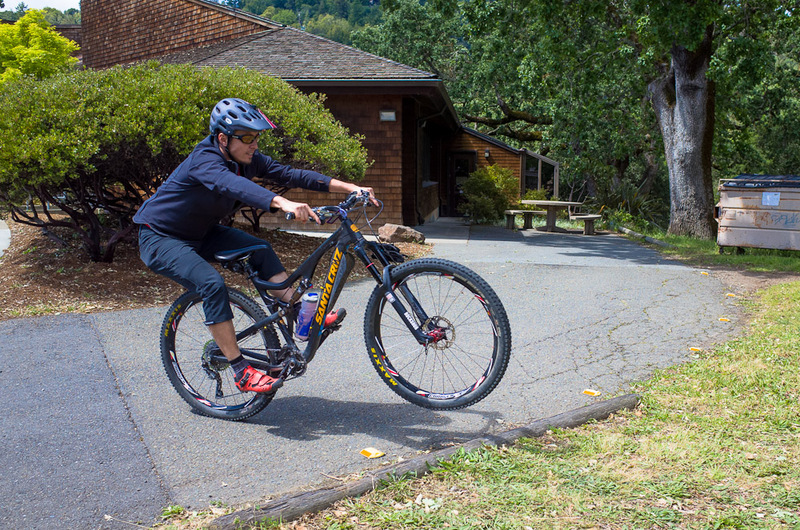 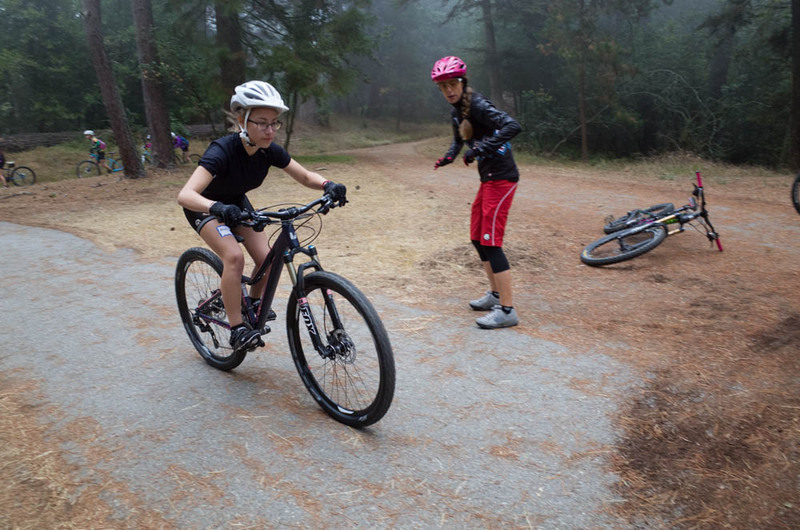 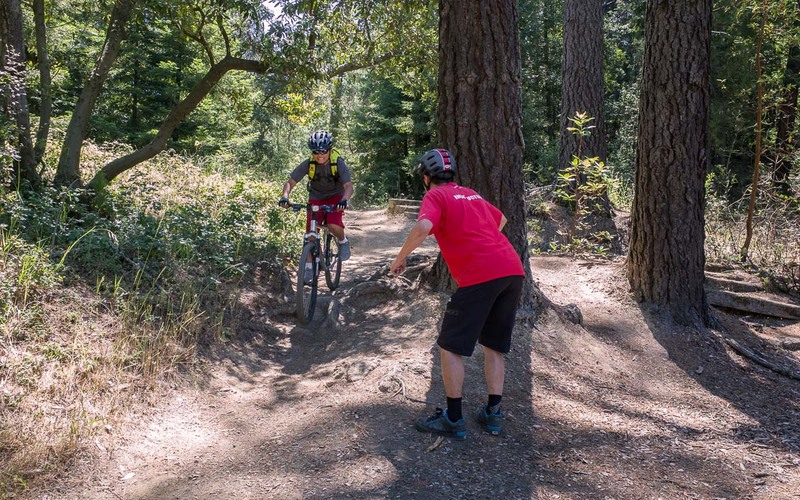 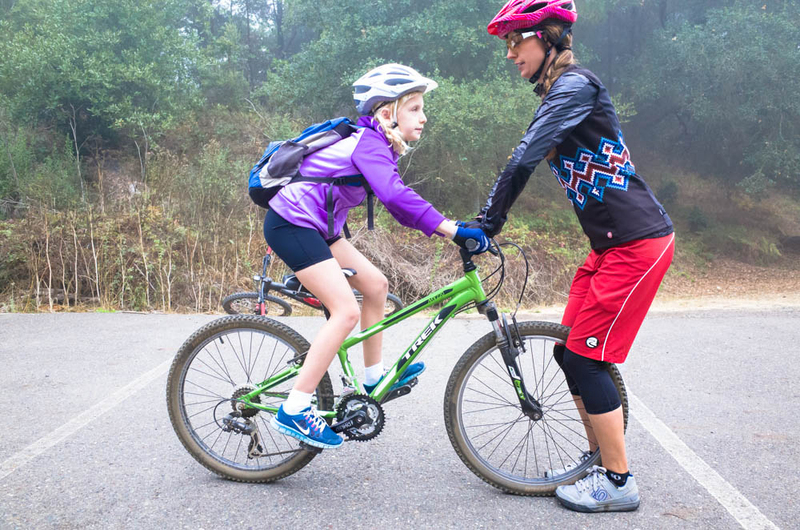 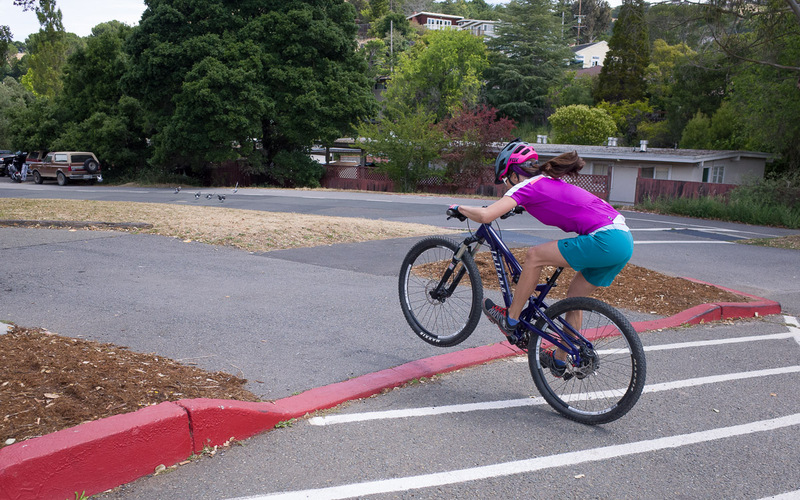 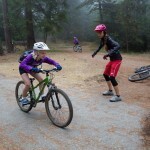 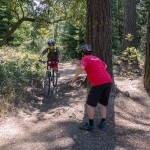 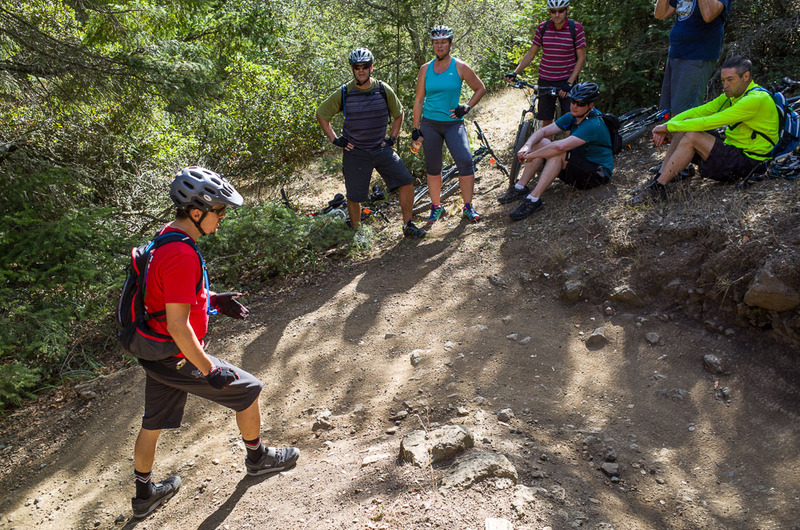 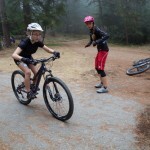 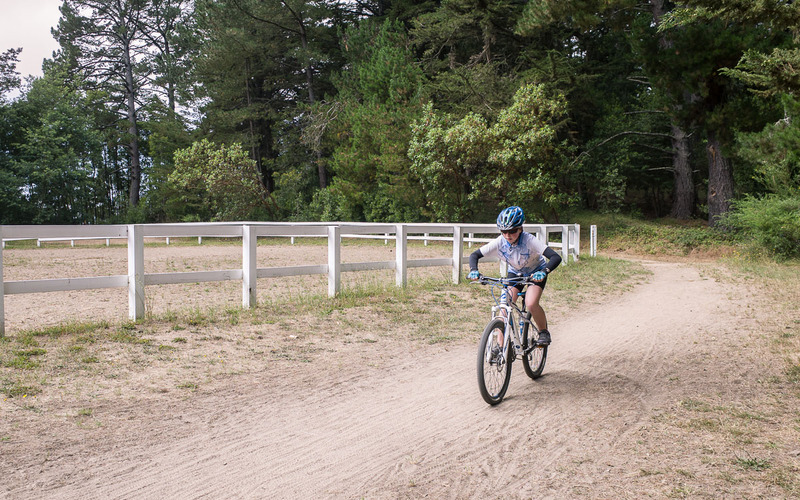 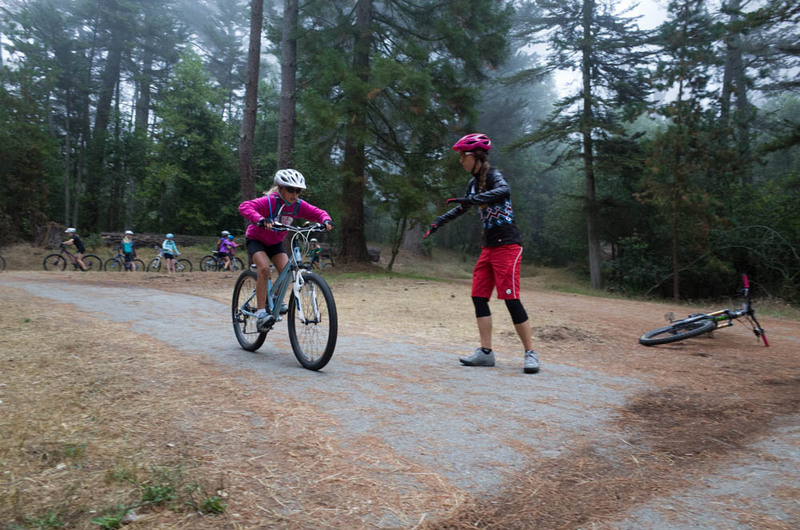 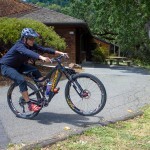 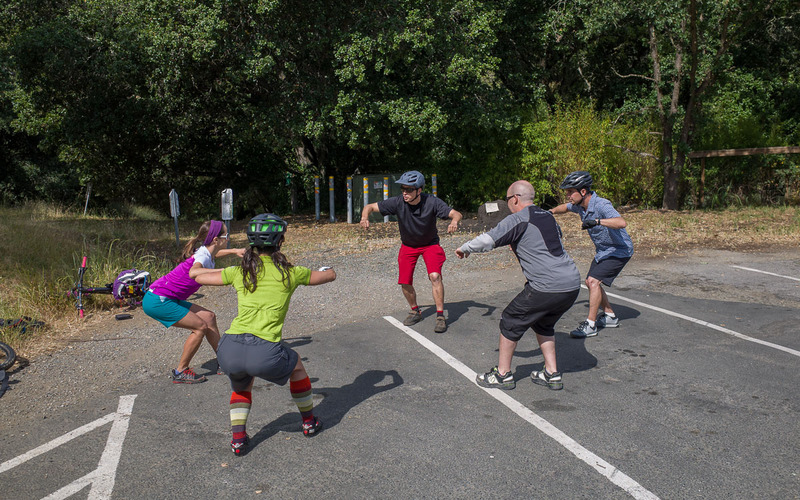 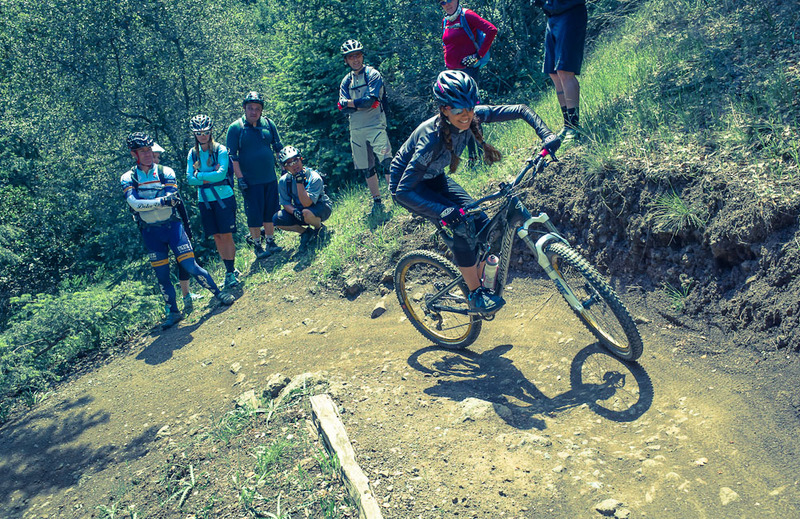 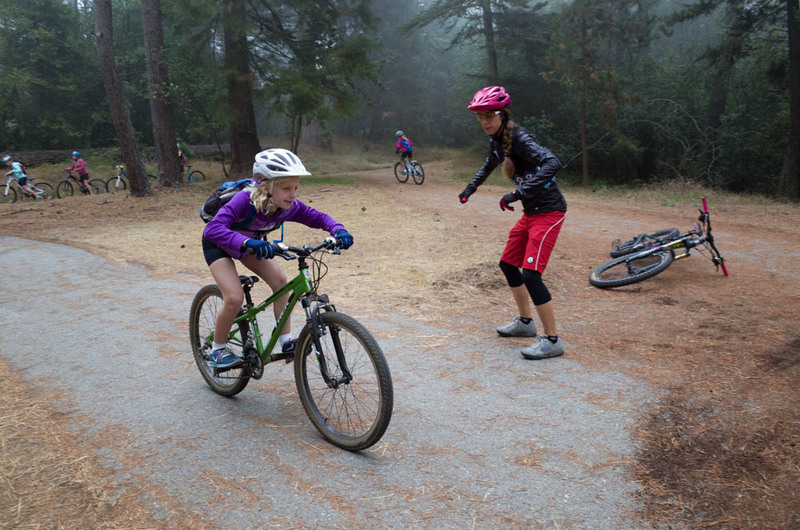 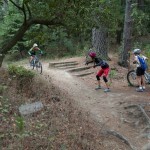 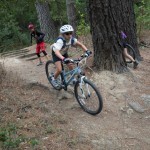 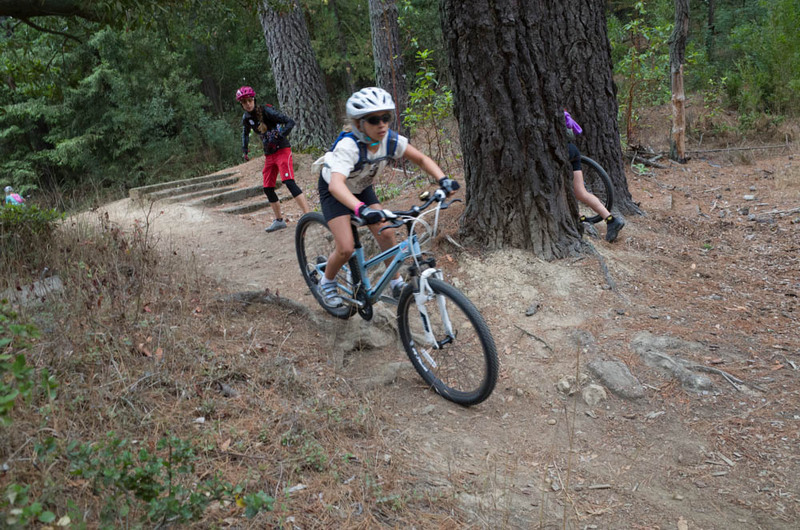 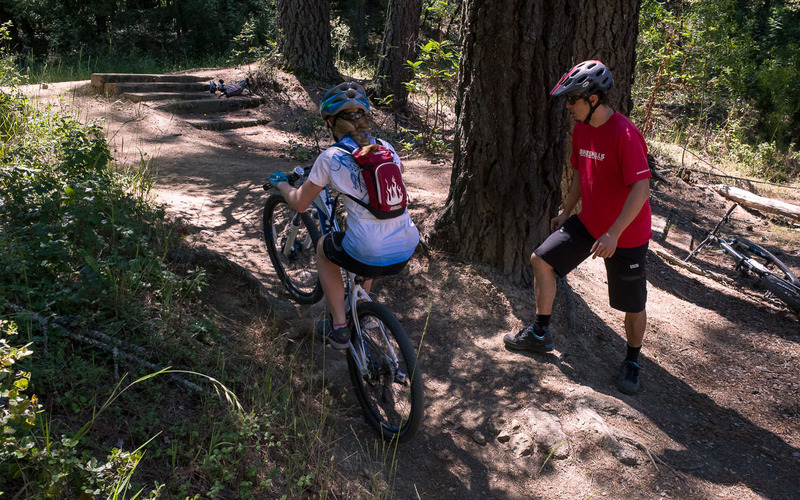 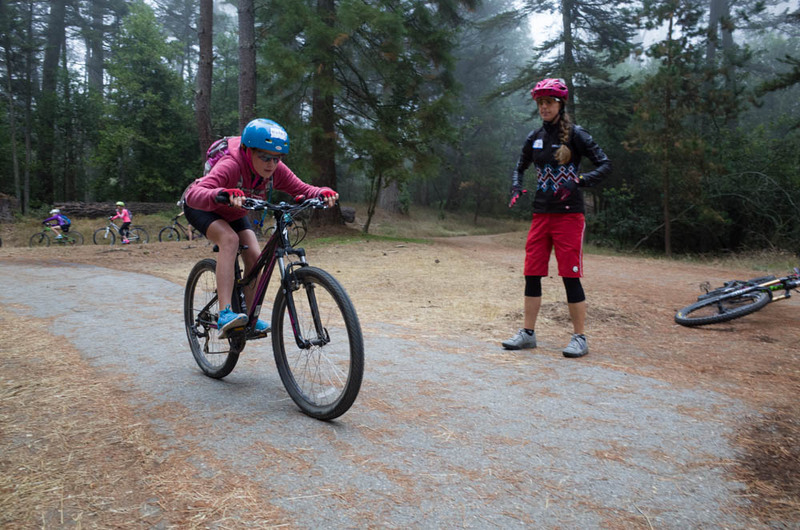 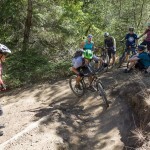 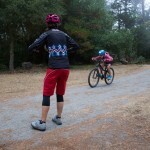 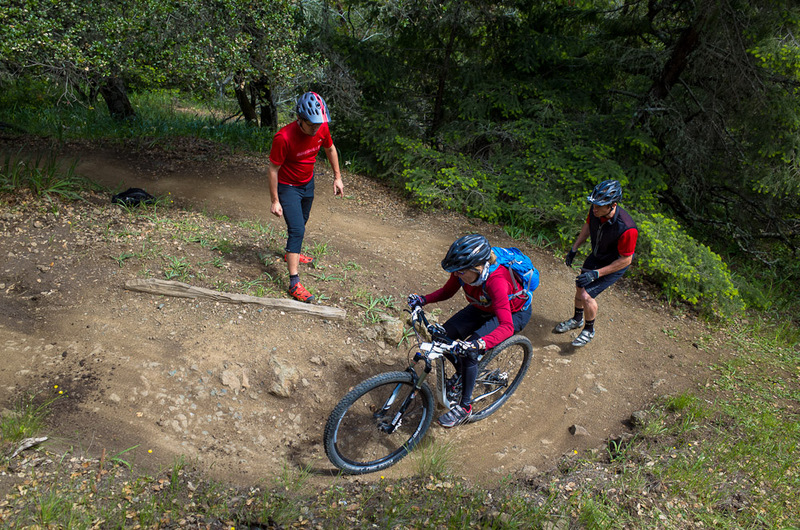 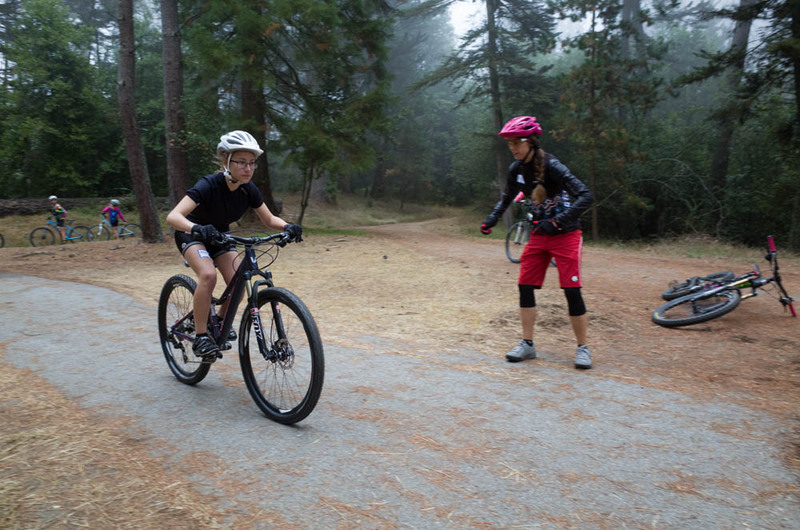 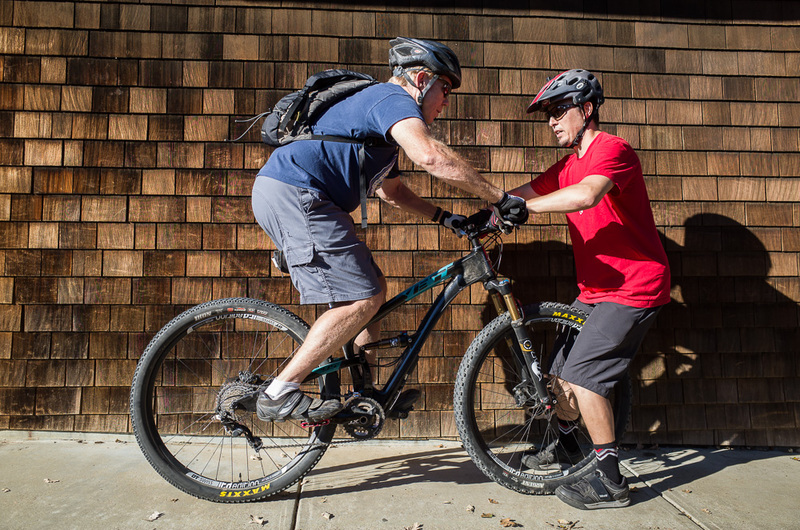 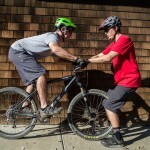 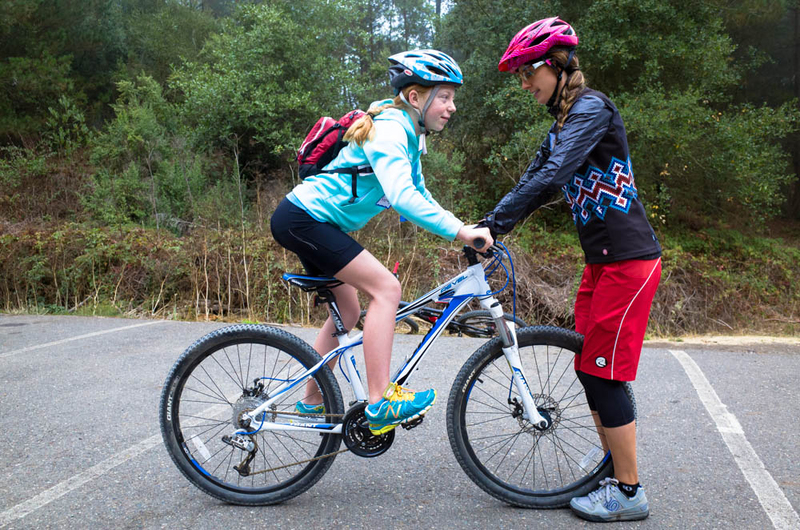 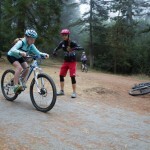 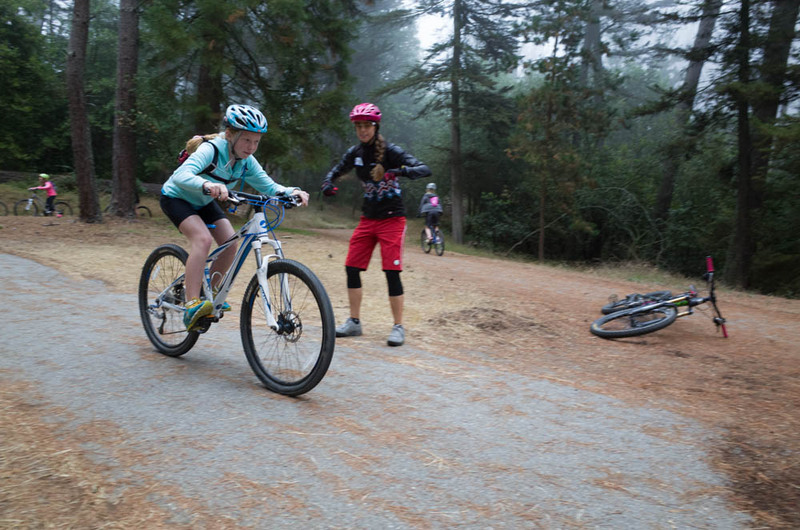 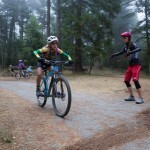 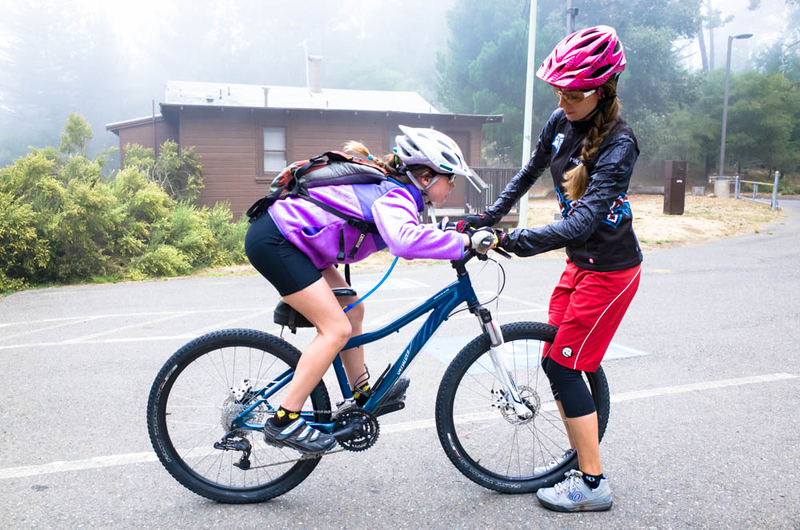 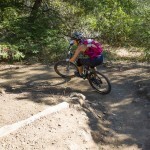 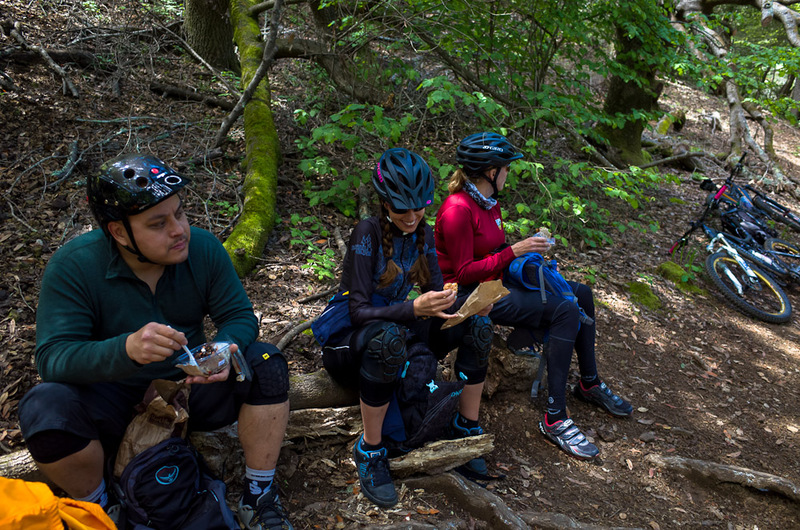 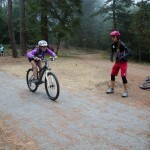 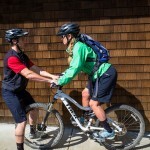 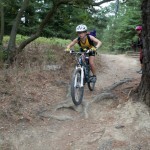 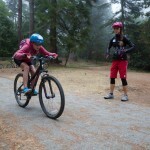 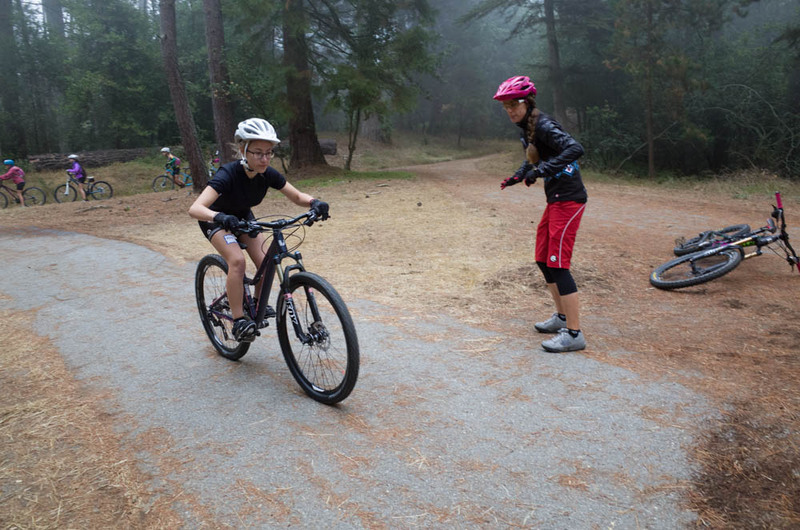 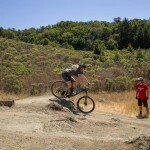 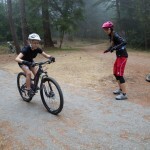 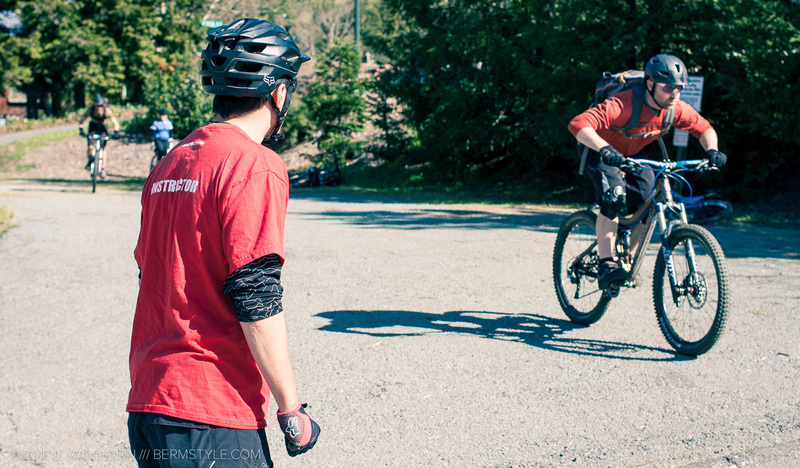 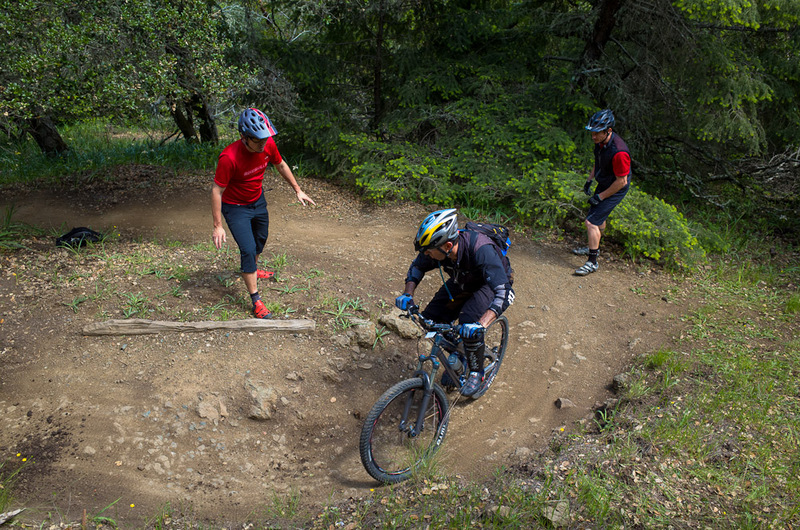 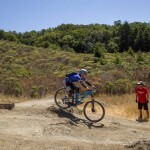 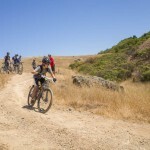 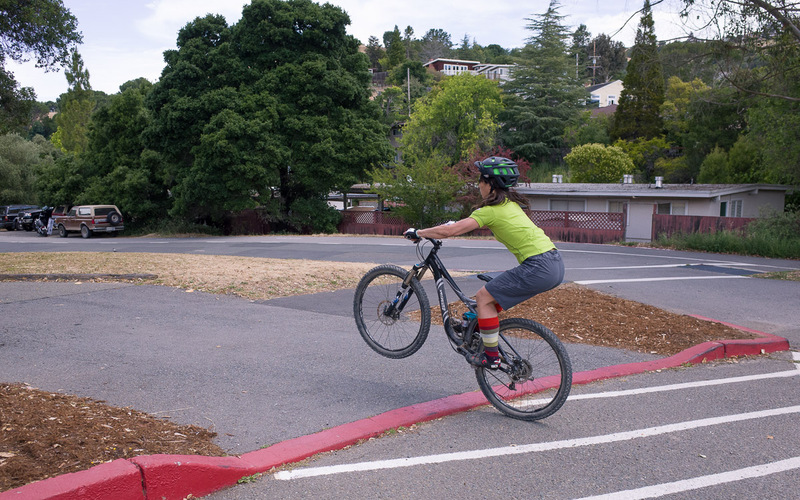 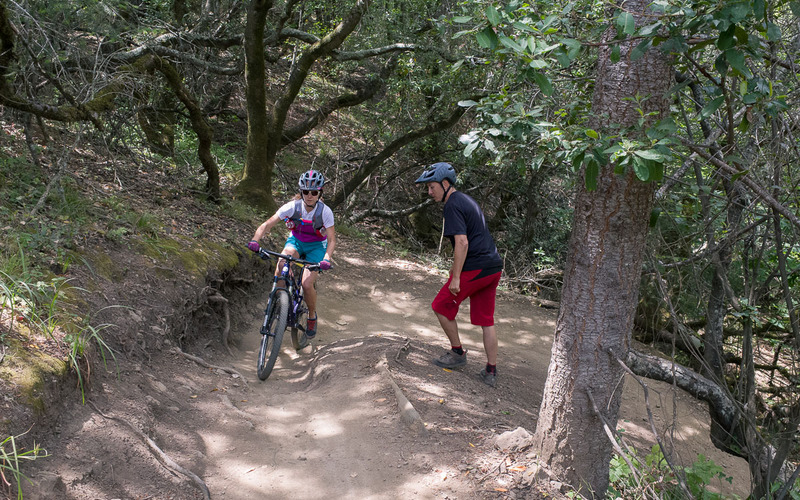 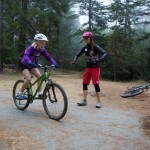 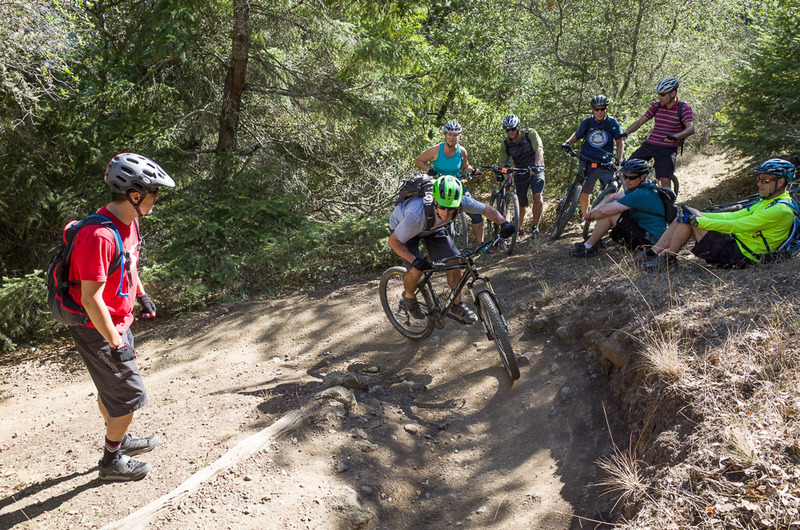 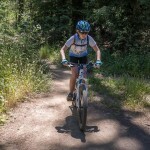 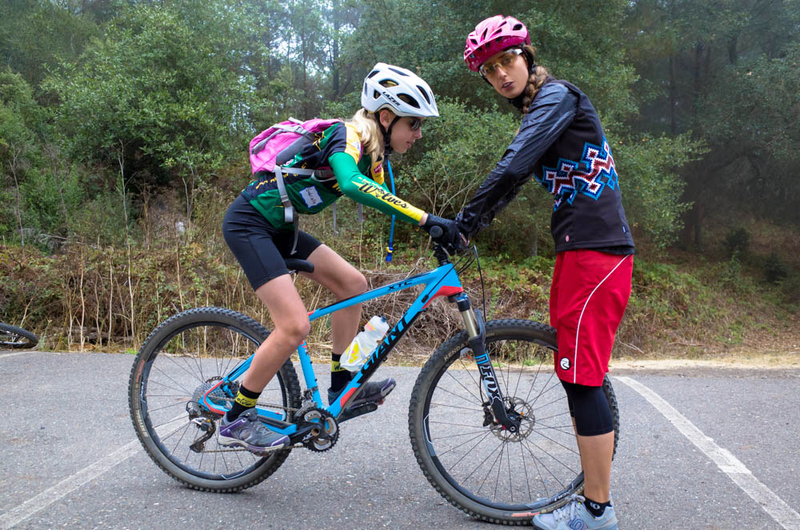 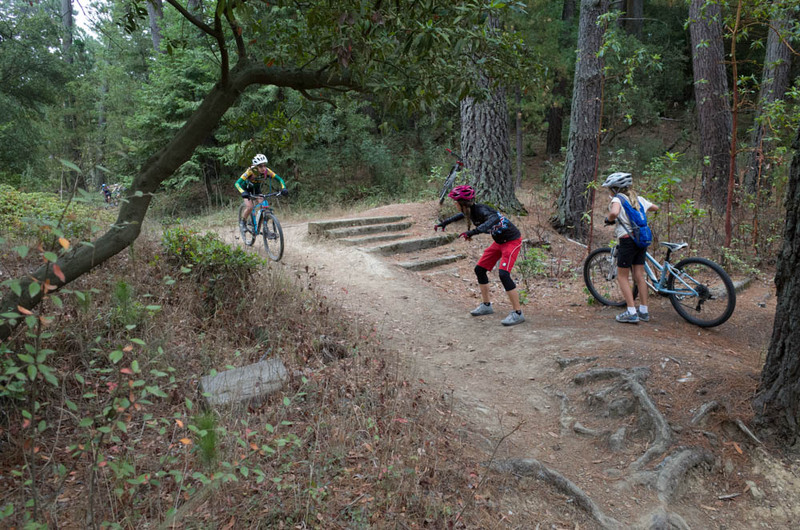 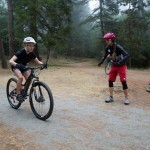 Bikeskills Instructor Inga Beck leads a girls only clinic in Oakland, California. 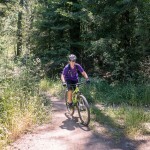 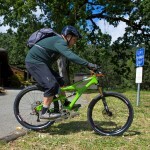 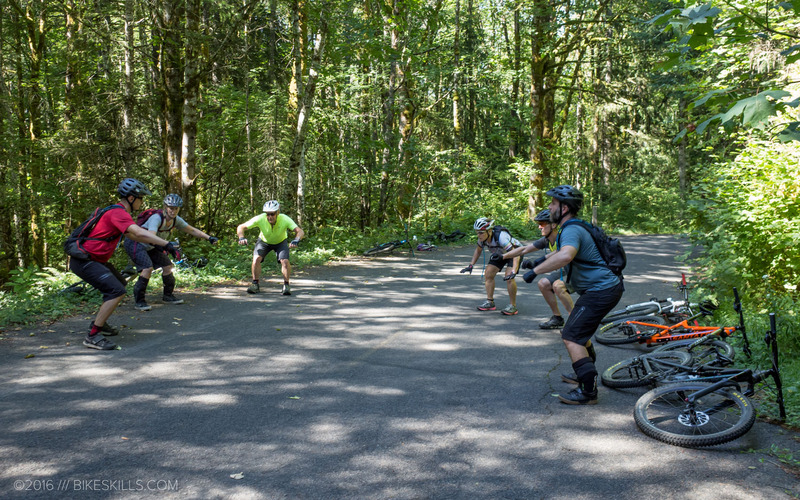 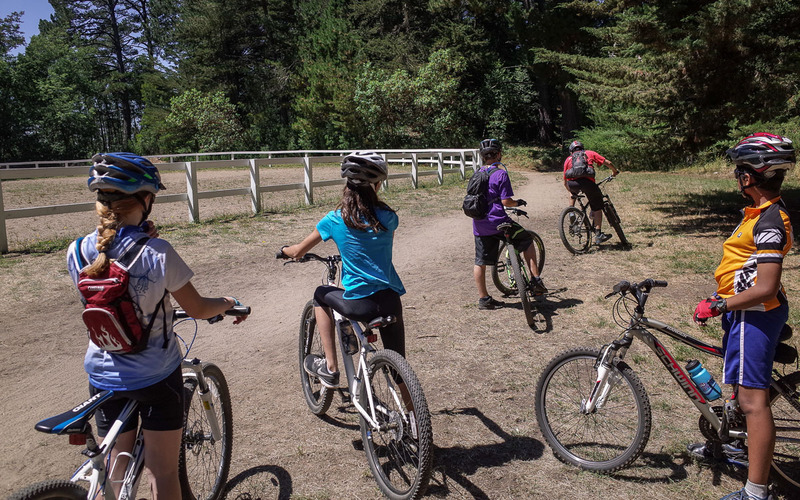 By the end of the session, they not only looked very confident on their bikes, but many of them rode sections of trail that they previously walked. 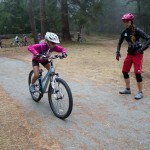 Great job and amazing form, girls! 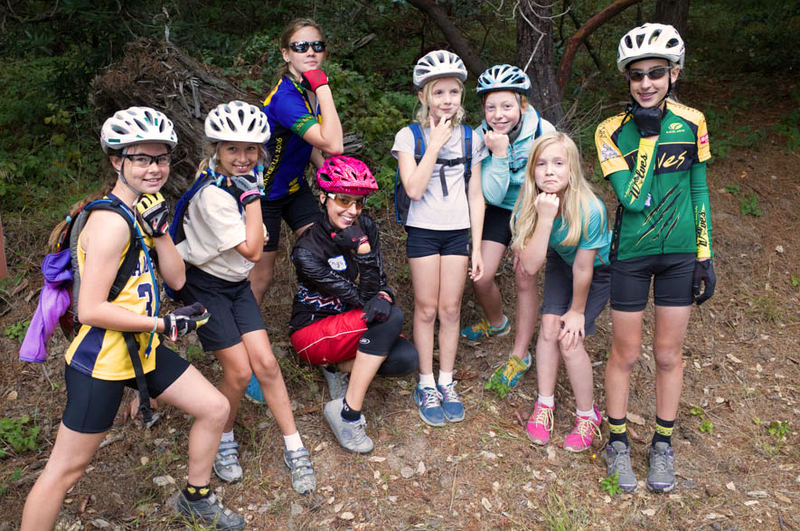 Inga and the girls strike a pose! 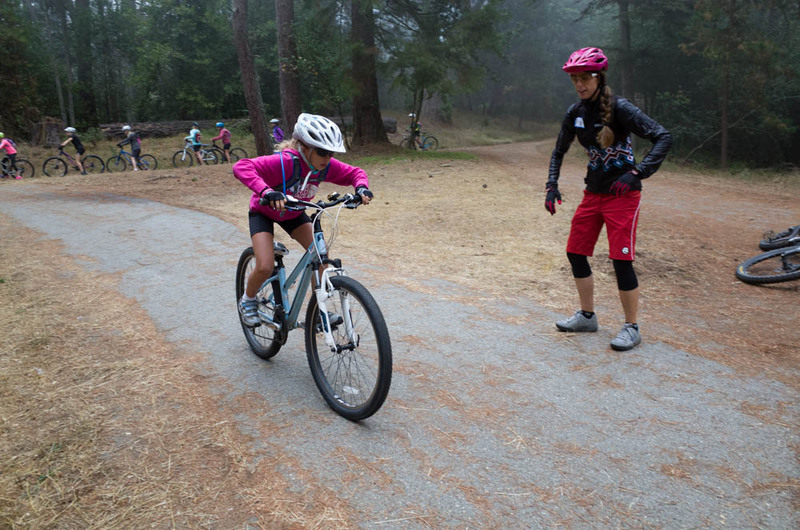 Enjoy this gallery of photos from our August 24th skills clinic at Tamarancho. 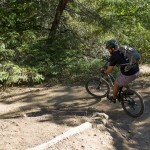 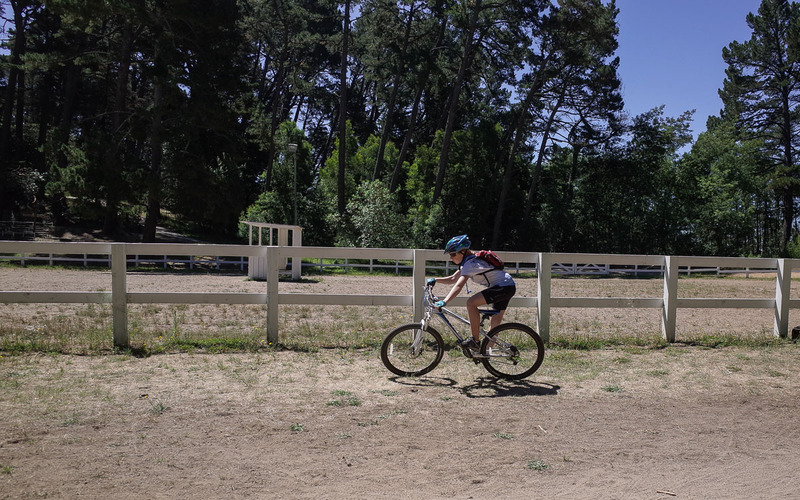 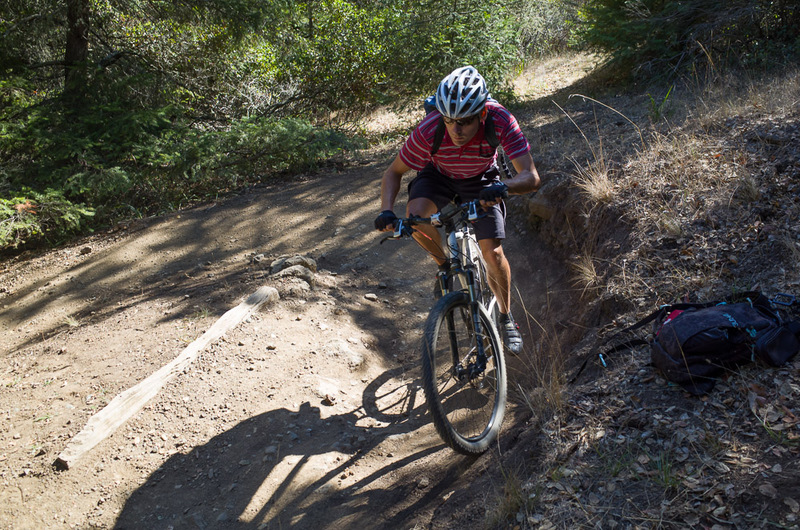 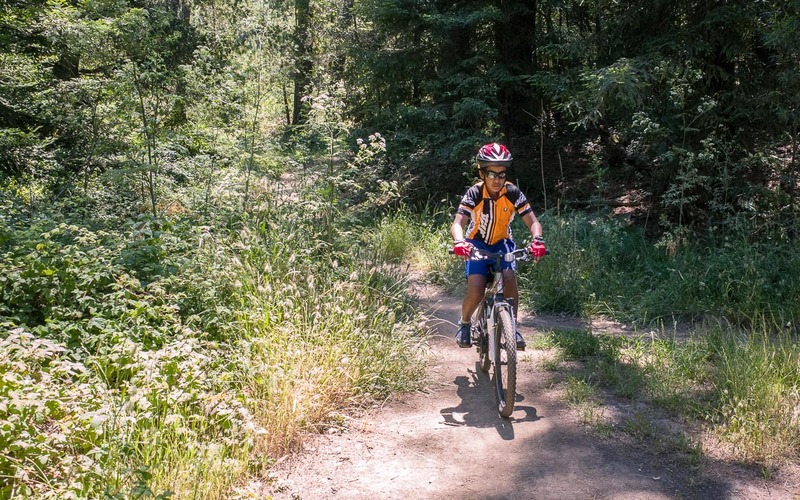 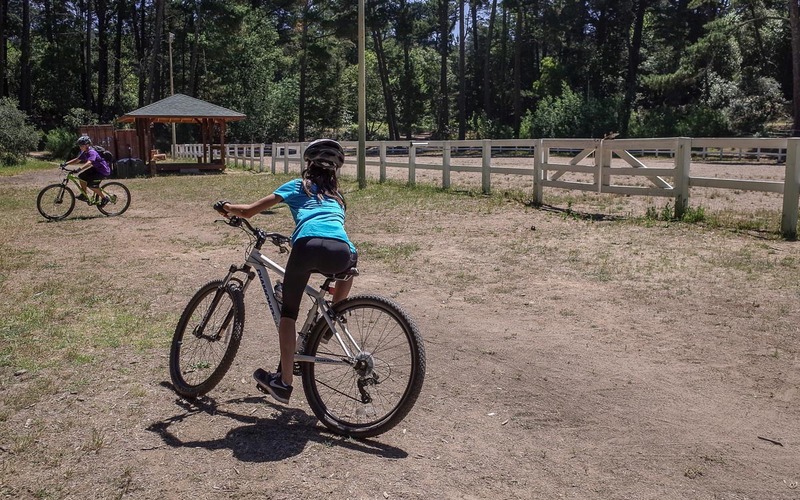 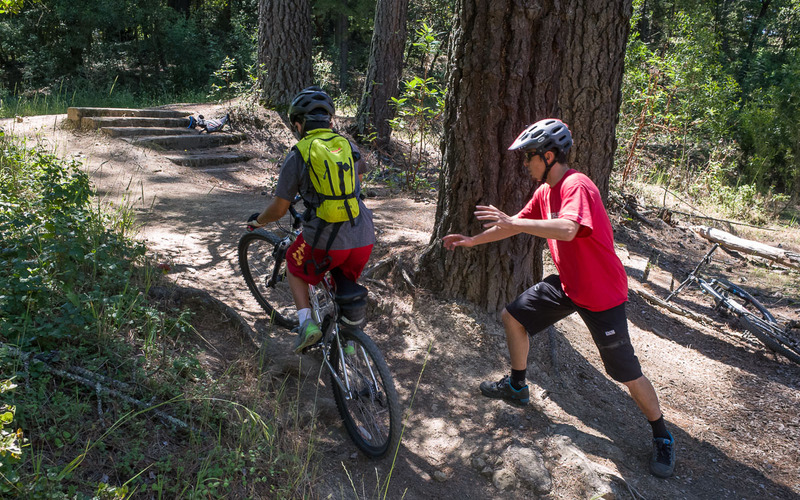 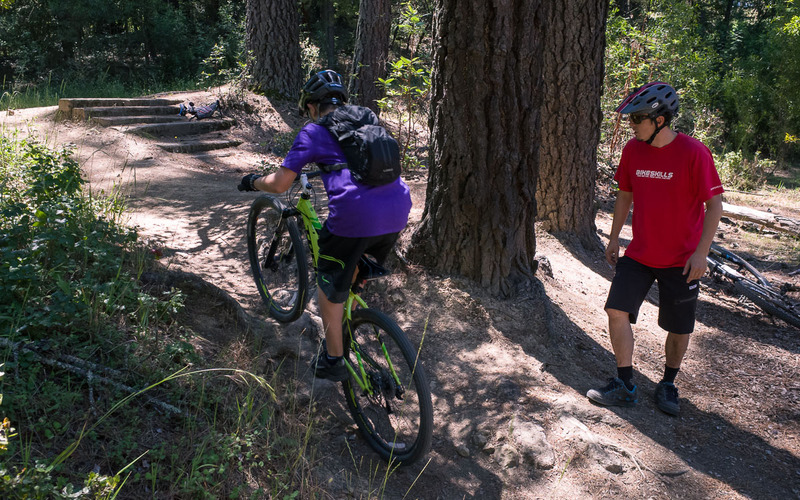 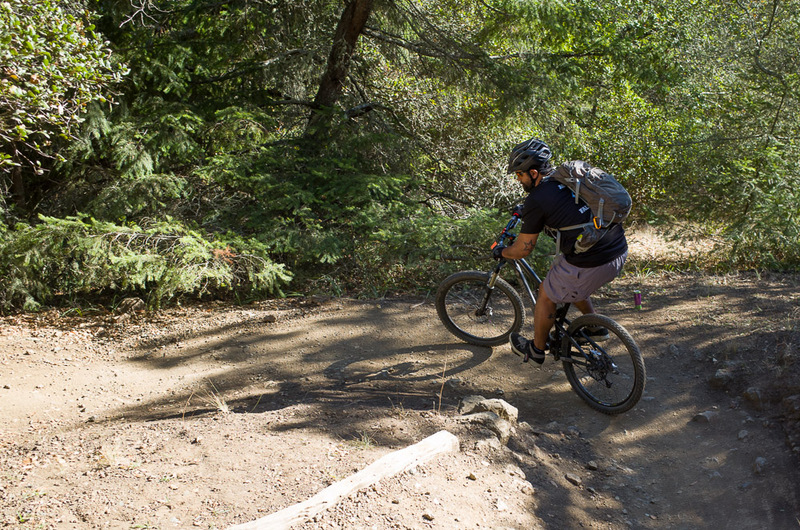 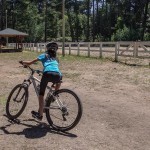 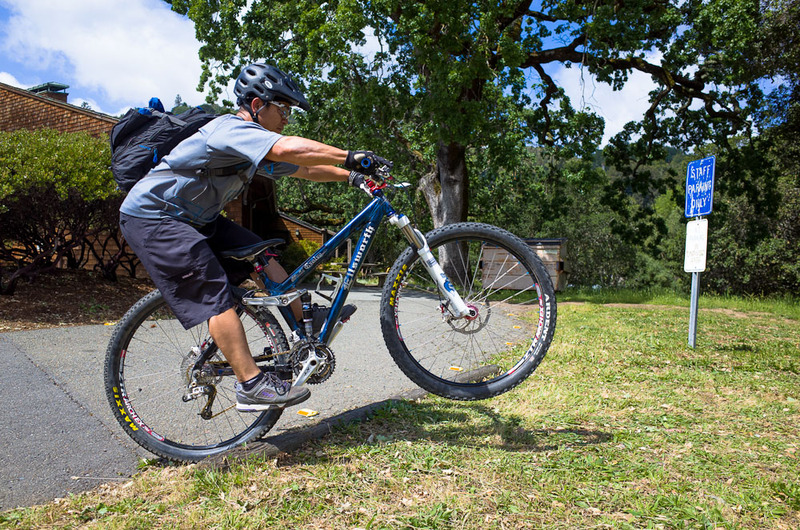 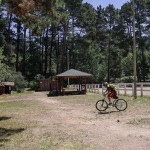 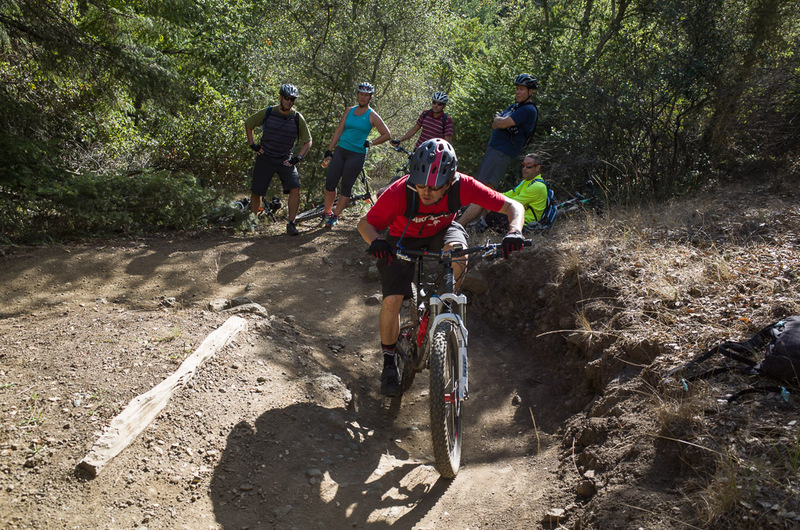 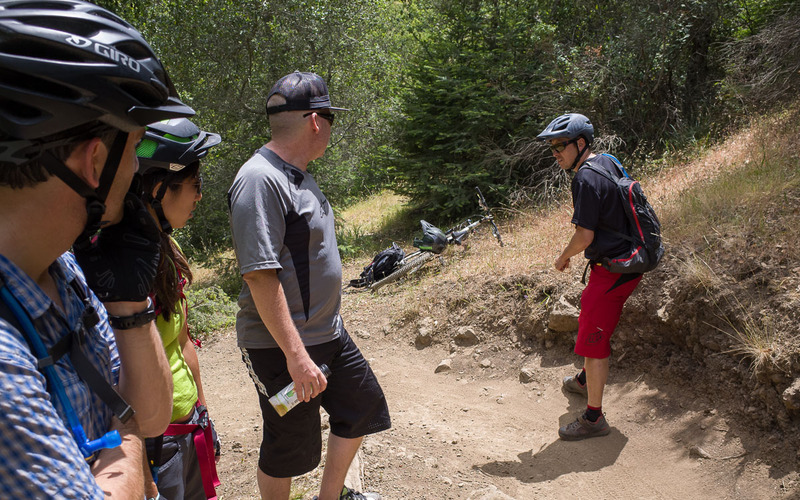 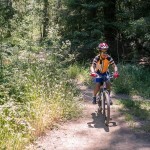 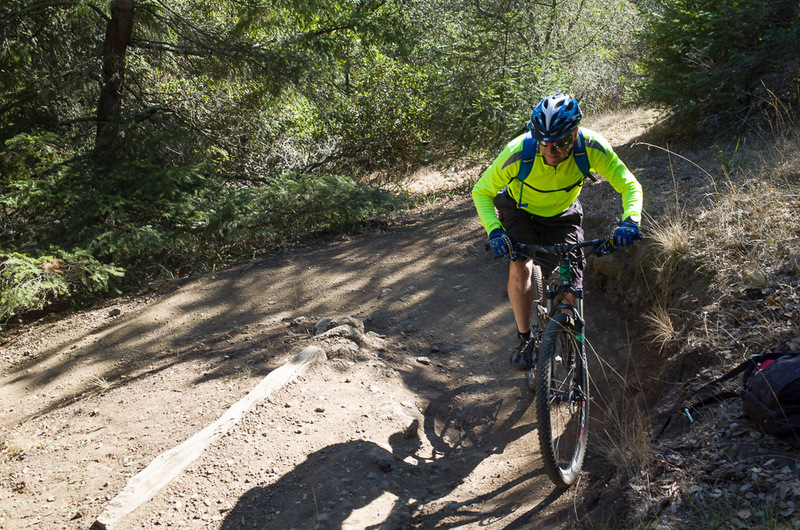 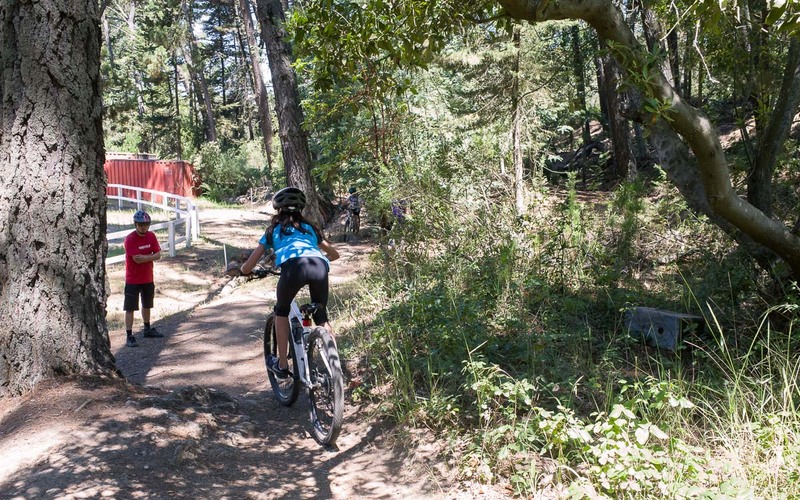 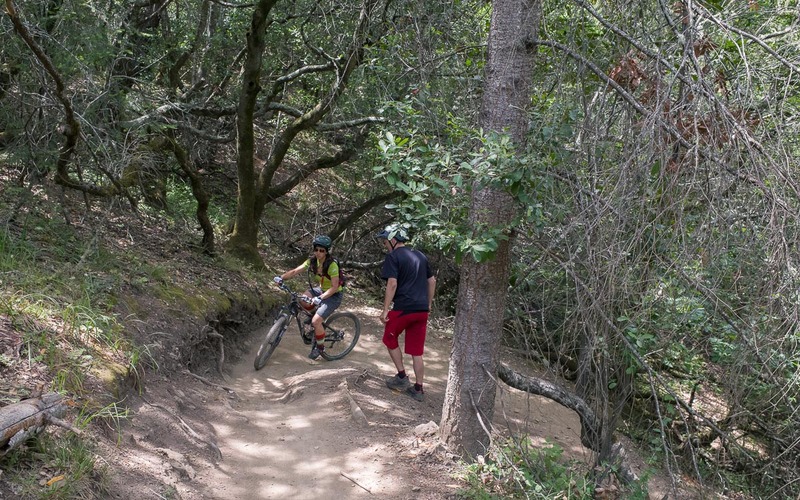 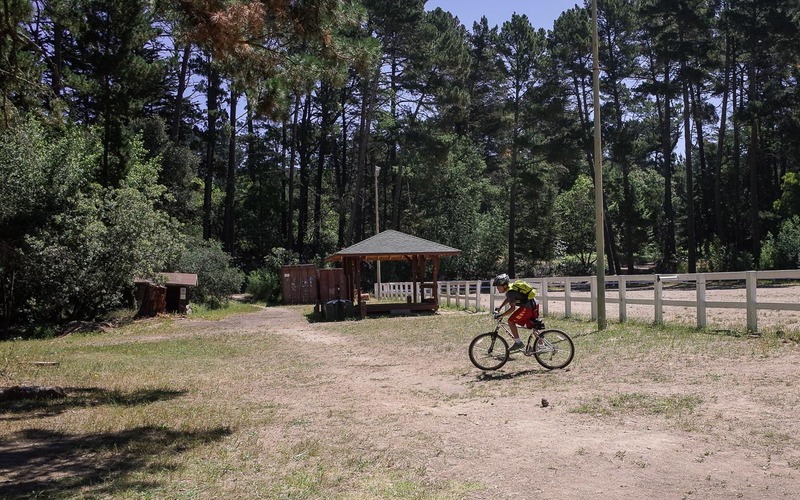 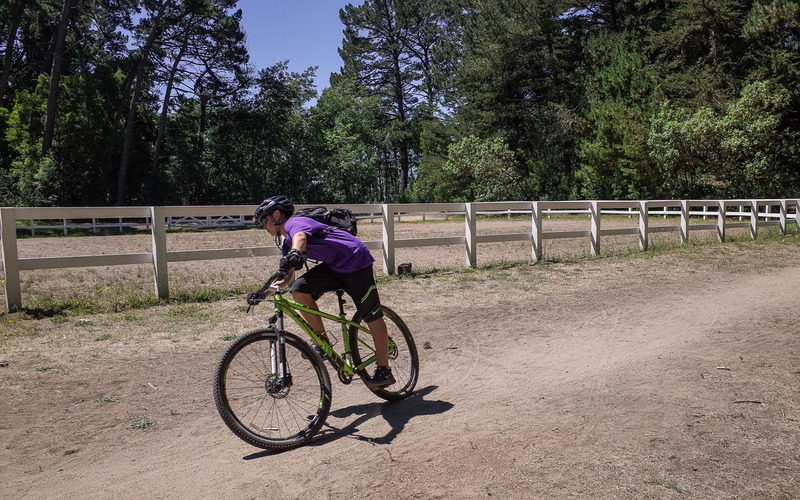 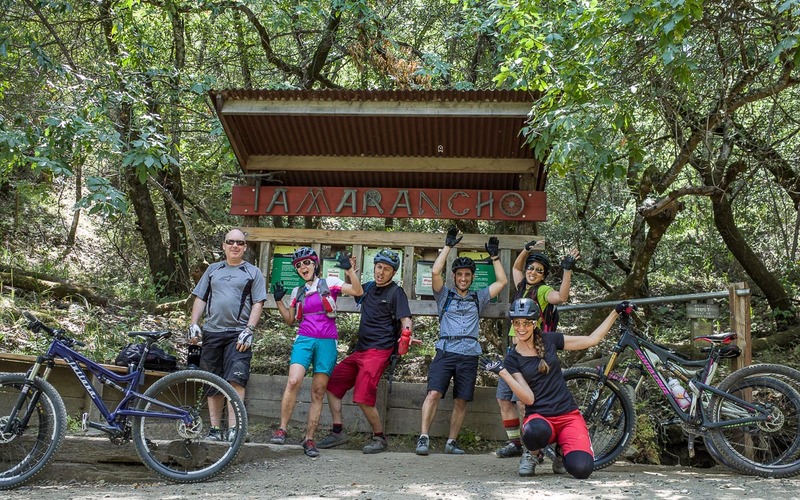 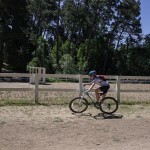 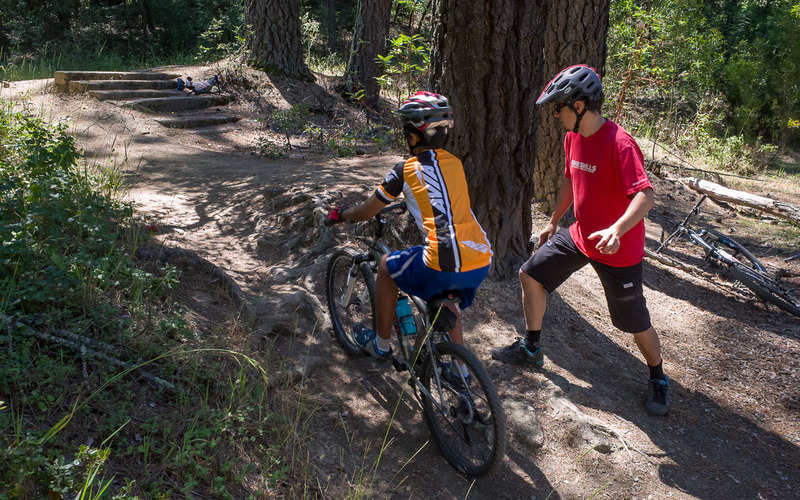 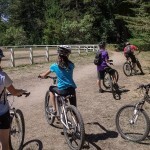 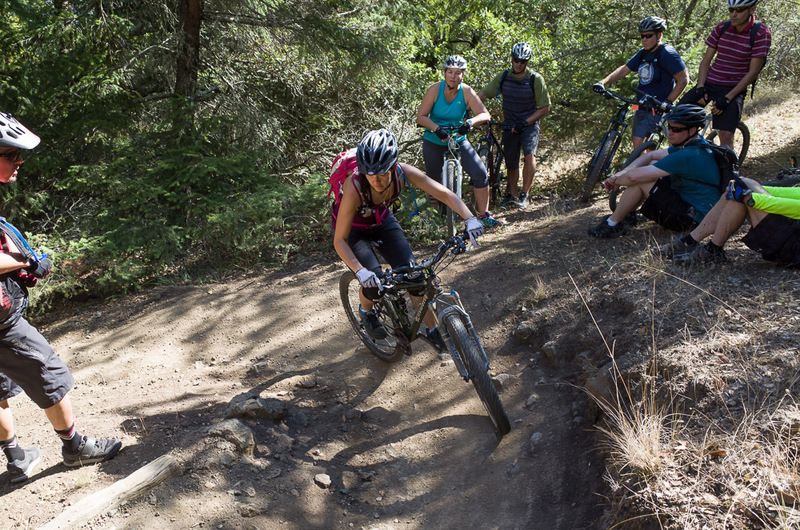 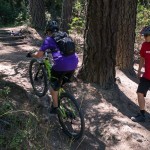 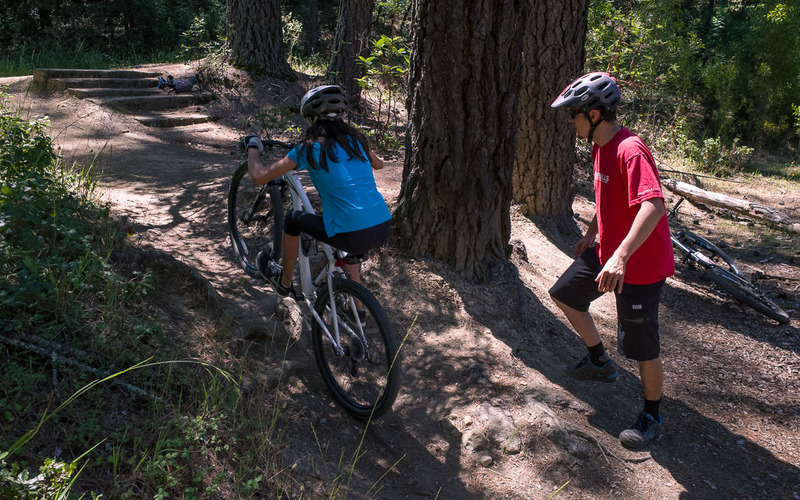 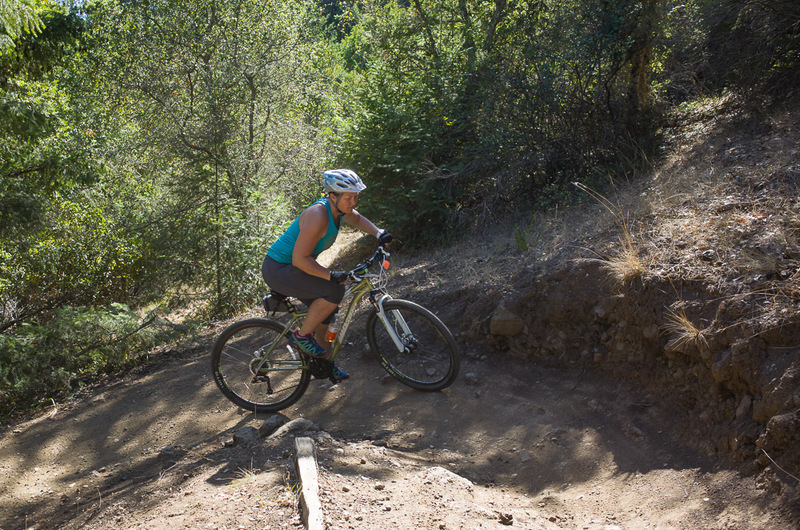 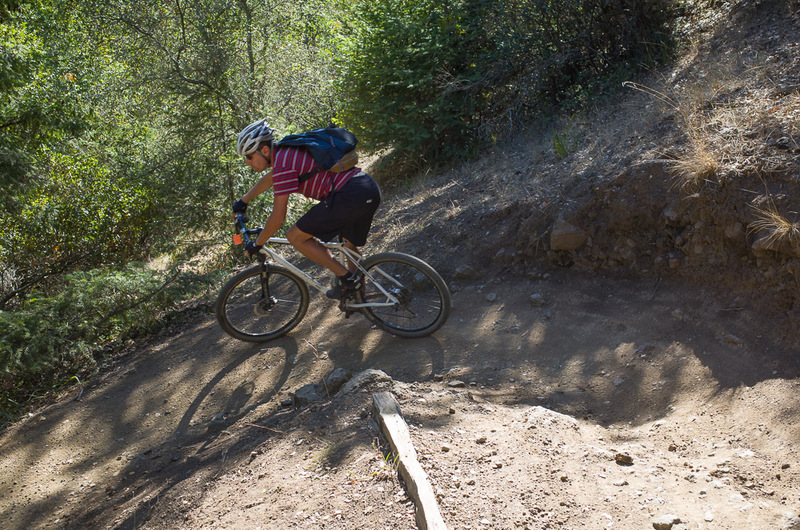 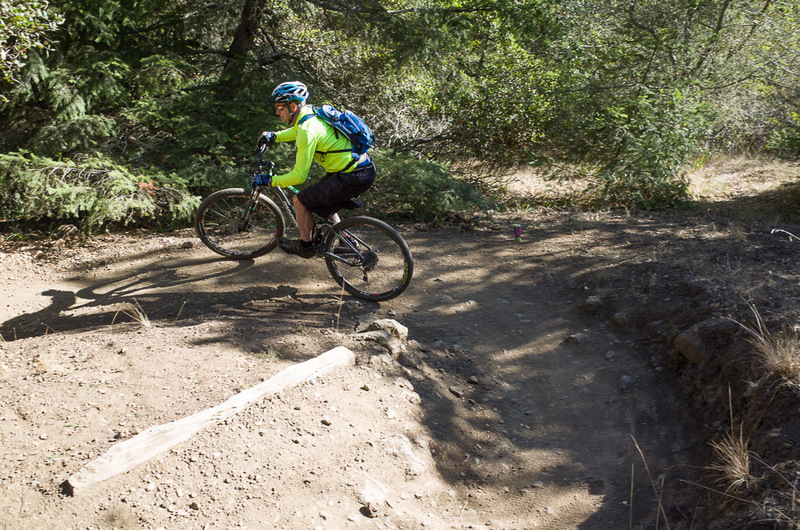 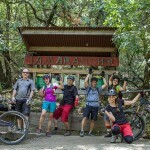 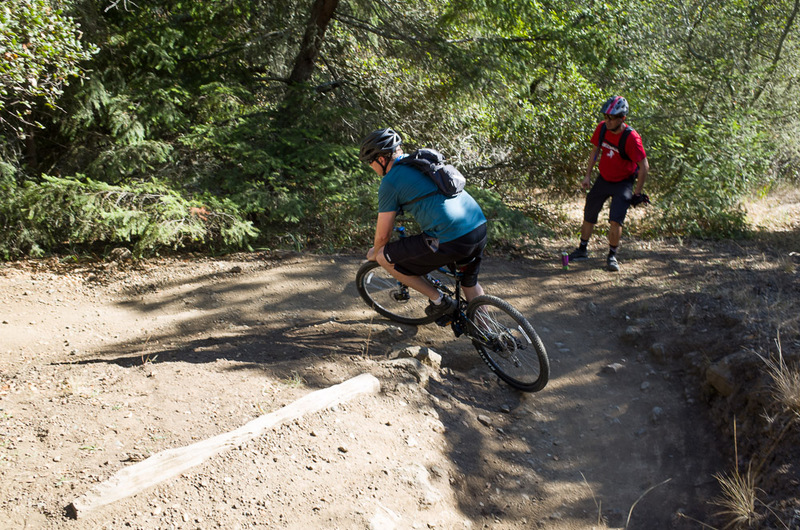 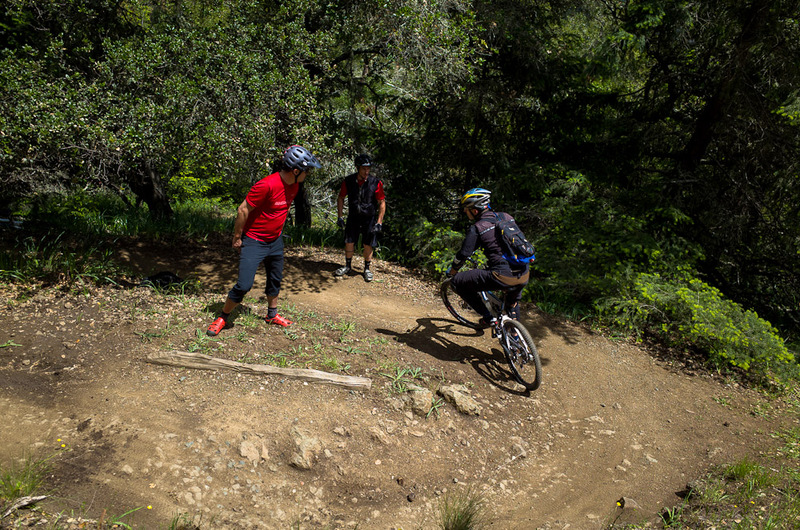 Camp Tamarancho is one of our favorite riding destinations for practicing skills. 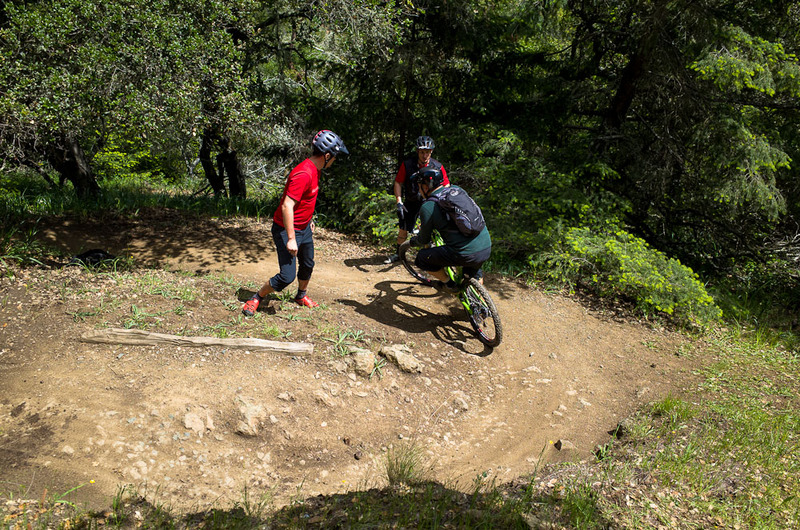 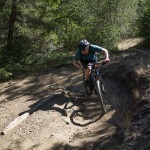 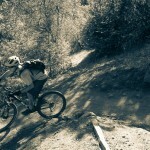 Between roots, rocks, the flow trail and too many switchbacks to count, there is a bit of everything. 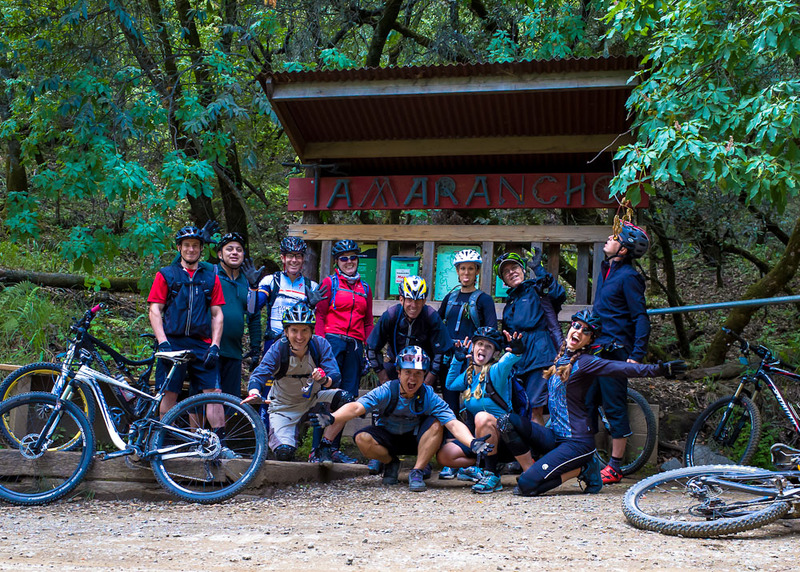 Our group – clearly not having any fun at all. 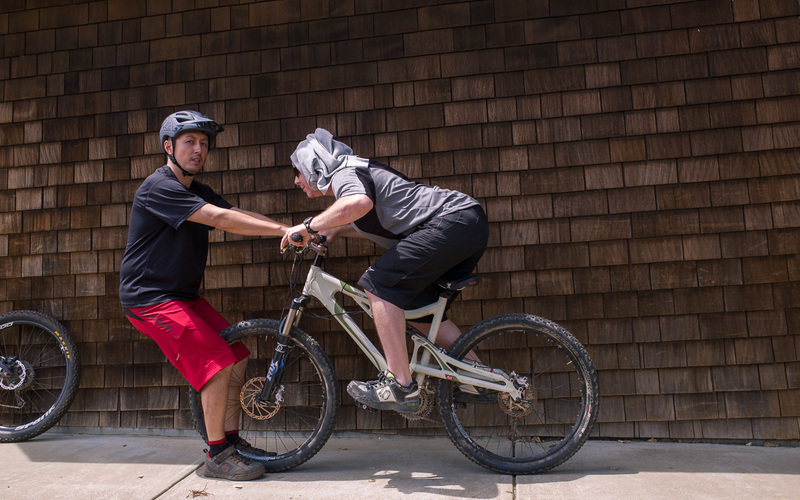 On a side note; what the heck am I looking at? 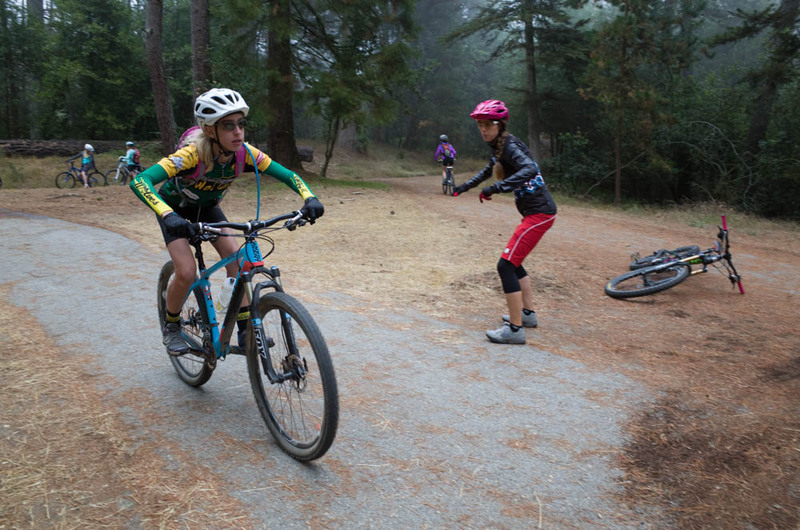 Enjoy this gallery of photos from our April 27th skills clinic at Tamarancho.